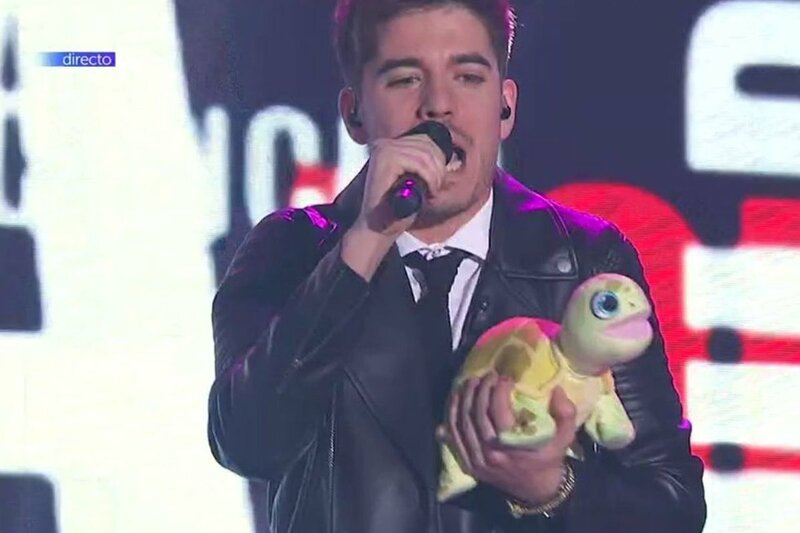 Results of edition 10 Gala of Spanish Operación Triunfo: Nerea leaves the show, thus only 7 contestants remain in the Academy. Alfred is saved by professors, Aitana - by contestants, leaving Ana Guerra and Roi nominated. Videos of the performances can be seen here. 12 best performers have qualified to the next stage: Riki Ben Ari, Jonathan Mergui, Neta Barzilai, Ravit Batashvili, Chen Aharoni, Sarit Hativa, Eden Meiri, Hayemen, José Steinberg, Howie Danao, Shir Baruch, Adva Omer. 27/28 January, 3/10 February and the final on 27 February to which will qualify only 3 singers. In the final of the show will be used televoting. Rehearsals and filming of the shows will start on 11 January. Six songs, six genres, six artists. More than four hundred songs from various producers, artists and bands from all over the world arrived in Czech TV, of which thirty-six came from local songwriters. The six best ones competing in the National Eurovision round EUROVISION SONG CZ have been revealed today by the national broadcaster. "This year there will be able influence of the viewers and fans of the Eurovision who are able to vote for one of the six entries that have qualified to the national final. Voting will take place using the official Eurovision mobile app. Similarly, an international jury will be involved in the selection of the winning song, " explains Creative Producer Jan Potměšil. Head of the Czech delegation, Jan Bors , adds: "The entry with the largest number of votes from the audience and the jury will become the winner and will represent us in Lisbon in the biggest non-sport event in the world." Listen to the entries here and vote with official mobile app. Additional information - Czech Republic page. Eurovision history was made last year in Kyiv when three men were selected to present the Contest for the first time. RTP, Host Broadcaster of the 2018 Eurovision Song Contest, has chosen four female presenters to host the live shows from Lisbon in May. Filomena Cautela, Sílvia Alberto, Daniela Ruah and Catarina Furtado will all share hosting duties during the 2018 Eurovision Song Contest in Lisbon. Filomena Cautela was born in Lisbon on 16th December 1984. She started her acting career in the theatre in the year 2000. In 2004 she made her debut in the cinema and in 2005 she was cast as a presenter by MTV Portugal. Filomena continued acting for both theatre and cinema whilst her television presenter career took her to different TV stations and new shows. She has been hosting the late prime talk show 5 Para a Meia Noite on RTP since 2015. Among other projects she was the Green Room presenter on the Portuguese national final for the Eurovision Song Contest, Festival da Canção in 2017, and was the Portuguese jury spokesperson in the 2017 Eurovision Song Contest. Sílvia Alberto was born in 1981 and had her television debut in Clube Disney (The Disney Club) when she was 19 years old. One year later she was presenting a new TV show on RTP just as she was starting a radio career in Mix FM, a Lisbon local station. Moving over to a private channel, SIC, she worked as a reporter and hosted Idols in 2003 and 2004. In 2005 she hosted the Globos de Ouro (Golden Globes) gala. Sílvia went back to RTP in 2006 to host several talent shows such as Strictly Come Dancing, Masterchef, Top Chef and Portugal’s Got Talent. In 2008 she made her debut as a Festival da Canção host and has been presenting it ever since. She was also the RTP Eurovision Song Contest commentator in 2011, 2013 and 2014. Daniela Ruah was born in Boston MA, on 2nd December 1983. At the age of five, her family moved to Portugal and at sixteen she began her acting career. Daniela earned her BA in performing arts from London Metropolitan University and soon after moved to New York to study at the Lee Strasberg Theatre and Film Institute. Daniela starred in George Lucas’ movie Red Tails and made her theatre debut in Los Angeles as Catherine in Proof by David Auburn at the Hayworth theatre. Daniela currently stars as Special Agent Kensi Blye on CBS’s hit show NCIS: Los Angeles, which attracts a weekly average of 11 million viewers. Daniela is a regular on the series performing alongside Chris O’Donnell, LL Cool J, Linda Hunt and Eric Christian Olsen. Besides her work as an actress, Daniela presented an award at People Choice Awards in 2012 and co-hosted the Super Bowl’s Greatest Commercials on CBS in 2016. Catarina Furtado was born in Lisbon, on 25th August 1972. Catarina has been working as a TV presenter and actress for several years, developing many projects related to empowerment. According to a study by Marktest in 2017, Catarina was considered the most credible person in Portugal, being recognized several times as a true inspiration for her work and generosity. Catarina has been a United Nations Goodwill Ambassador since 2000 and in 2012 founded the NGO Corações Com Coroa (Hearts With Crown) to create awareness about women’s rights and female empowerment. In 2015 she published a book about all the experiences that she lived through with her professional and voluntary work: O que vejo e não esqueço (What I see and don't forget). In 2013 Catarina won the Woman of the Year award by GQ magazine and in 2016 the E! Entertainment Career Award. Linda Zervakis and Elton will host the German national preselection show "Unser Lied für Lissabon". Linda Zervakis started her career with the youth NDR radio program N-JOY and hosted ""Experiment mit Linda Zervakis" on NDR television. At ARD she hosted, among others, the "Nachtmagazin" and was presenter for the main edition of "Tagesschau" news bulletin. "I'll be happy to announce a decision from Berlin this evening," says Linda Zervakis. Elton has already gained some of the best Eurovision experience. He was part of Lena's victory in Oslo in 2010, presenting in "TV Total" from the Norwegian capital. Six years earlier he accompanied Stefan Raab and Max Mutzke for the ESC in Istanbul. Since 2015, Elton co-hosts various shows on Das Erste such as "Wer weiß denn sowas?" and also can be seen on NDR television as the host of "Die Superpauker". Additional information - Germany page. Four more duels took place in Israeli preselection show HaKokhav HaBa L'Eurovizion. Now 8 out of 12 qualifiers to the next stage are known. All performances can be seen here. Full versions of all entries competing in the national Hungarian preselection A DAL became available to listen to at its official website. Additional information - Hungary page. 20:00 CET, Lithuania, National Preselection, Show 1, LRT, online. Ieva Zasimauskaitė, Godo, Milda Rasilavičiūtė, Lukas Norkūnas, Germantė Kinderytė, Benas Malakauskas - qualified to the next round. "This year, the Supernova stage is a big playground at which all the participants meet with only with one single thought - to win. Supernova and life are like a strategic game - one who looks strong at the beginning doesn't always live up to the end. There can be some unexpected surprises. Each participant needs to think about his own steps and strategy to showcase himself. In the Supernova one can never know what will happen next time - how the jury and the audience will react"
Additional information - Latvia page. There will be no revelation of Melodifestivalen running order on Monday. It appears that one of the employees of the Melodifestivalen team has mistakenly published last year's information. Indeed, last year revelation took place on Monday, 8 January. Additional information - Sweden page. After seemgingly giving up on Dora plans, the silence still surrounds Croatian preselection for the Eurovision Song Contest 2018. However, local media 24sata.hr believes, that the choice lies between Indira Levak, Franka Batelić and Damir Kedžo. - I can not confirm or deny that information. There was talk of Indira going to Eurosong, but nothing more specific", said Miroslav Levak , husband of the singer. Former bodybuilding champion, who works as a manager of former Colonia vocalist, says that his wife Indira Levak (44) will gladly accept the offer to represent Croatia in May in Lisbon if it is made. "Eurosong is a challenge for all musicians. It is a wonderful story to represent your country in one of these competitions" - says Levak. Apart from Indira, Franka Batelić (25) and Damir Kedžo (30) are mentioned as potential representatives. Franka's manager Siniša Bevanda did not want to comment on that. "Nobody contacted us, but I know Kedzo has a great desire not only to take part in the Eurovision, but to win it", stated singer's manager Goran Belošević. More than four hundred songs by various producers, performers and bands from all over the world, including thirty-six domestic authors, have arrived at Czech Television in the course of preparations for the contest. The best will compete in the national round of the Eurovision – EUROVISION SONG CZ. The winner of the National selection, the one who recieves the highest amount of votes from both international jury and czech audience, will be representing the Czech Republic in Lisbon at the Eurovision Song Contest in front of more than a quarter of a billion viewers from around the world. Mikolas Josef - "Lie to Me"
Jakub Ondra - "Reasons to Love You"
Doctor Victor - "Stand Up"
Everybody can vote only via official Eurovision song contest app. Voting is free of charge. But only Czech votes will be counted towards the result. Everyone is allowed to vote only once. 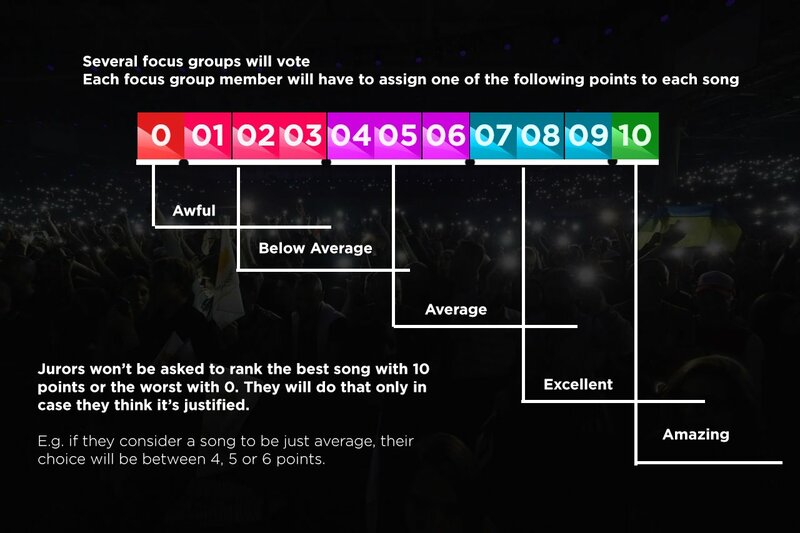 Final rankings are the outcome of counting up all votes from both audience and jurors. (for example if a finlist recieves 1. place from both jurors and audience he/she has 16 points). In the case where there will be tie between two finalists, then audience votes are decisive factor. The song with highest score will represent Czech republic at Eurovision Song Contest event in Lisbon. Stage of duels has started in the Israeli show "HaKokhav HaBa L'Eurovizion". Today 4 out of 10 duels have been broadcast. All videos of performances can be watched here. The Eurovision Song Malta 2018 final is in less than a month’s time and after much waiting, today, the lyrics video were launched together with the 16 finalist songs. The lyrics video can be accessed on the TVM site or Youtube channel. The festival's final will take place at the MFCC in Ta’ Qali on 3 February 2018. This year's production team came up with the Eurovison theme #jointhemagic. Changes have been made in the voting system, with the winner being chosen based on the votes made by the judges and those from televoting, with 50% of the points being given by the judges and 50% through televoting. Additional information - Malta page. Only eight contestants remain in the Spanish Operación Triunfo Academy and that means that right now in Spain there are only 8 people with the possibility of representing Spain in Eurovision 2018. - She already got the title "Amaia of Spain"
- She has popular support being chosen favourite several times. - Her performances are best viewed on video platforms, last week's "Shake It Out" got 2 mln views in less than 48 hours becoming trend #1 on Youtube. - No one like her inside the Academy can represent Latin character. - She is also excellent friend, always attentive to others. - She has proven to be the best with interviews, she is clear, concise and educated. - She is a singer-songwriter and also an actress. She learnt a lot in the choreography class. - She has been twice saved by other contestants, so she also is a good friend. - She is a declared Eurofan and has support of Eurofans who were raged by her nomination. - She is able to sing the sweetest songs, but also that she can become a lioness. - She has the profile of the international ballad singer who triumphs often in the Eurovision. 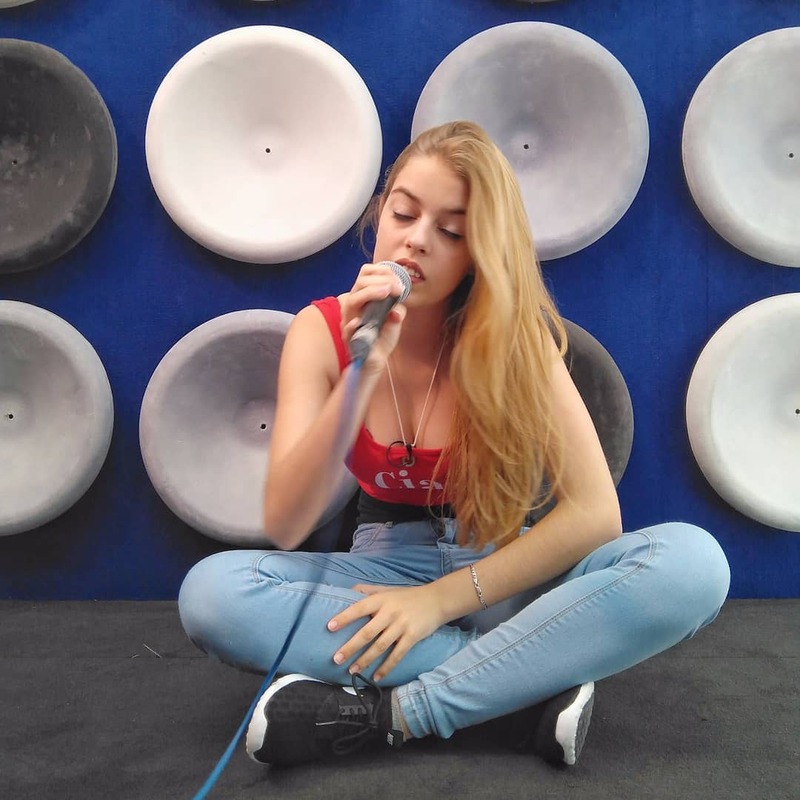 - She has performed Pastora Soler's "Quédate conmigo" in the show. - He is brave - he has been nominated with Bruno Mars' son and then performed another song of his in the final battle. - He has a different and peculiar timbre of voice, but above all, he is modern. In European pop there has to be room for him when he comes out of OT. - He is very constant. He does not stop working until he has mastered the challenge that has been imposed. BNT Eurovision Bulgaria has established 4 focus groups in order to evaluate 13 competing projects. Pool D: Popular group – a mix between casual viewers and devoted fans in a proportion representing approximately the viewing structure of Eurovision Song Contest. The last one is still pending and the final list of members will be available on 7th of January when several candidates from the Twitter challenge will join the existing list of persons. Already over 250 entries from interested fans have been received. Each member will vote on an online platform independently. The system will be the same for all the focus groups, but the interpretations of the results and the weight of each vote will vary depending on the respective panel and the individual profile of the member. How the song will be selected? 1.) To win the overall focus groups voting with the weight coefficients of each focus group taken into a consideration. 2.) To perform consistently within all, or the majority of the focus groups. 3.) To reach a certain value on average without the weight coefficients being taken into a consideration. That means unlike in step 1, here all the votes will be equal. After BNT examines all the data and the feedback provided by the members, they will prepare a thorough report about the whole process which will serve as a tool to help the internal selection and the final decision. 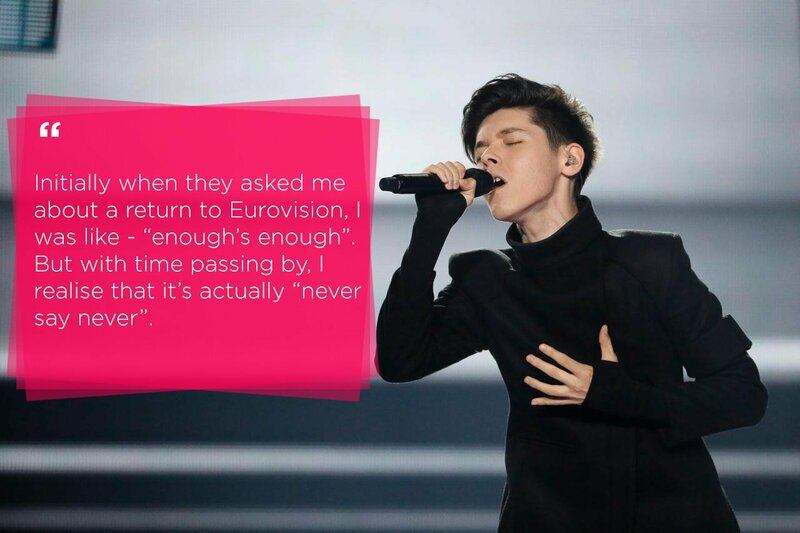 Meanwhile, Bulgarian publication blife.bg speculates that returning artist in the preselection is indeed Kristian Kostov. This, however, would contradict with a hint that it will be impossible to guess the returning artist taking into the account names of former Bulgarian entrants and their backing vocalists. Nor the team of Kristian nor BNT have commented the publication. Additonal information - Bulgaria page. 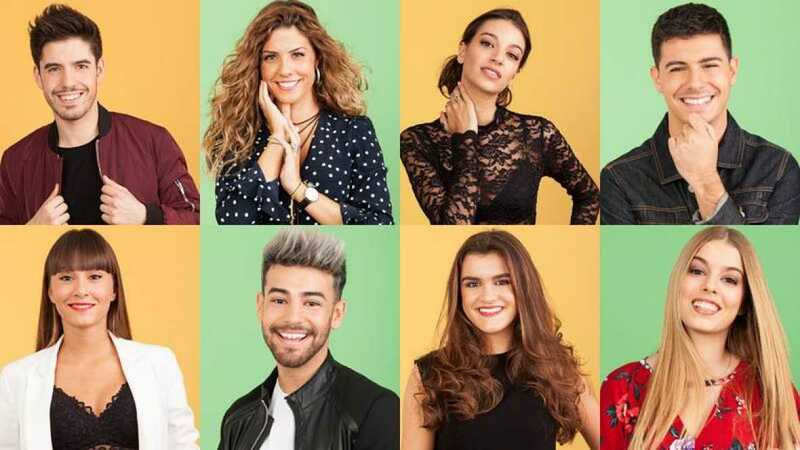 Cepeda leaves the show, thus only 8 contestants remain in the Academy. 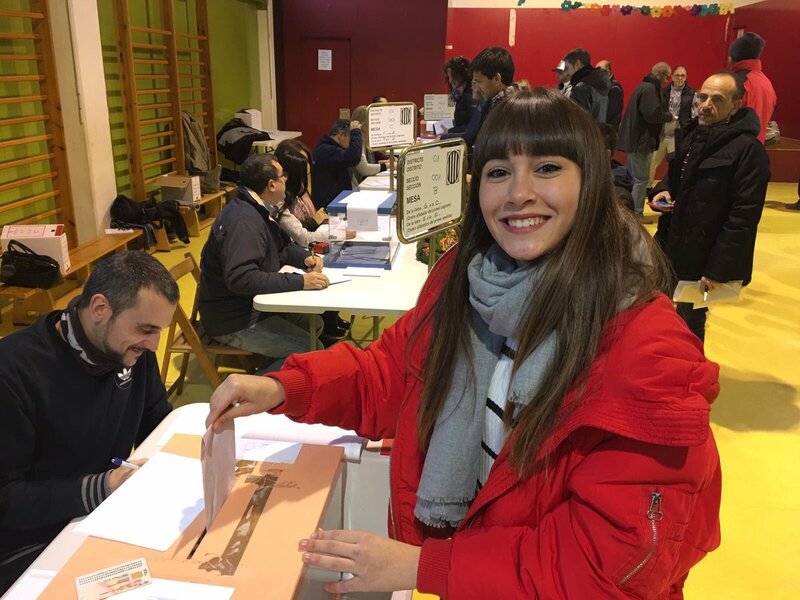 Aitana is favourite of the show, Alfred and Amaia also make top 3. 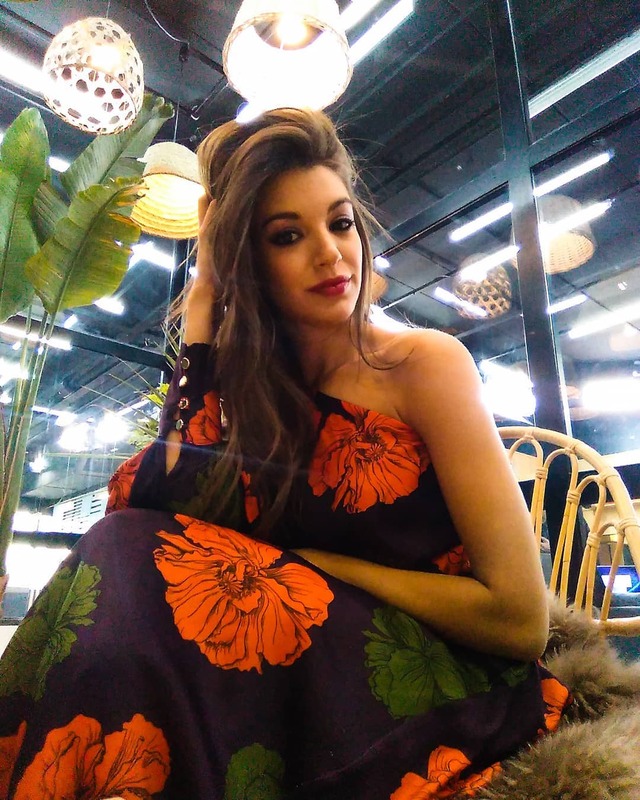 Miriam is saved by professors, Alfred - by contestants, leaving Agoney and Nerea nominated. According to Evrovizija.com sources final of the Slovenian preselection EMA will be held on 24 February, and semifinal a week earlier. EMA will be held at Studio 1 of Television Slovenia without viewers. In the semifinal all entries will be performed in Slovenian language, while there will be free language choice at the national final. Additional information - Slovenia page. Host broadcaster RTP will reveal on Monday, 8 January, names of the hosts of the Eurovision 2018. It is expected that this year contest will have two hosts. On the same day, at 13:00 CET, Swedish broadcaster SVT will reveal the order of performances in the Melodifestivalen semifinals. In the RTP news broadcast it has been mentioned that Euroclub of the contest will be located at Cais do Sodré region, but the exact location still wasn't named. It is expected that it will take place in "Lust in Rio" venue. Additional information - Event page. Filming of the first show of the Lithuanian preselection took place today. Additional information - Lithuania page. BNT has completed text introduction of the projects competing in the internal national Bulgarian preselection. At the same time it is highlighted, that the entries will not be released to the wide public. They will be only accessible to the various focus groups which will be invited to their evaluation. 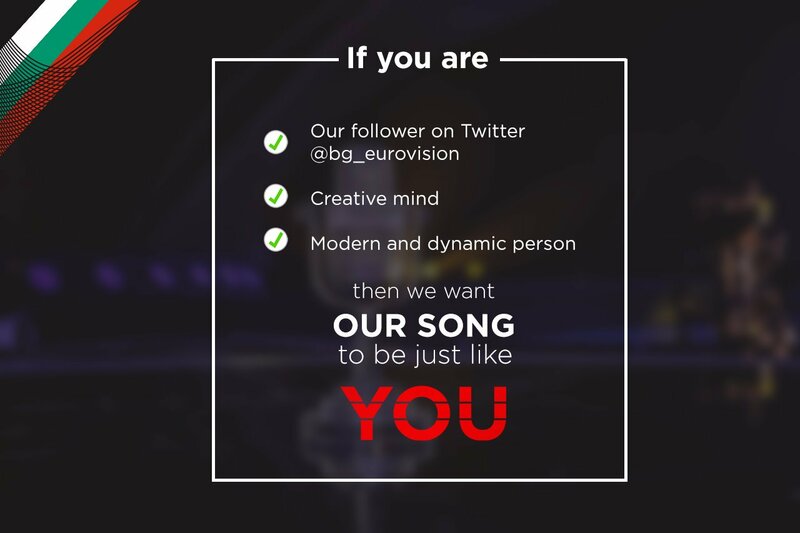 One of the focus groups will be made of fans subscribed to the Twitter account of BNT Eurovision. Fans wishing to get involved should leave comment to this tweet creatively describing why you have to be chosen as part of the focus group. Deadline is 7 January. Line up of 20 best performers of the Israeli preselection show HaKokhav HaBa L'Eurovizion has been formed. Ofir Harush, The Choice, Gal Yaakoni, Axum, Shir Gadasi, Tal Mizrahi also qualified, but their performances were not broadcast. All performances of the evening can be seen here. Additonal information - Israel page. Band IRIAO will represent Georgia at the Eurovision Song Contest 2018, has announced Georgian broadcaster on New Year's Night. The group performs unique music that is a blend of jazz and Georgian ethno. David Malazonia, a founder and musical director of the group, is considered to be one of the first Georgian composers who united these two genres. For 30 years he created music in Germany and Georgia for a theater, as well as for TV projects, individual musicians or groups. In 2013 he has established his own ensemble. More info - Georgia page. Bulgarian Eurovision team has denied a rumour that returning artist competing for the right to represent Bulgaria at the Eurovision Song Contest 2018 is Swedish 2012 winner Loreen. At the same time the answer given also denies rumour that has appeared yesterday claiming this artist to be Ani Lorak. "However, it's really a famous artist with a top placing way more recently :) "
Earlier, on the same issue it was mentioned: "You won't guess it even in million attempts, even if you take into account all of our past representatives + their backing vocalists. so don't even try :)". BNT has underlined that foreign artist can not represent Bulgaria solo, only provided that another singer with Bulgarian citizenship is involved in the performance. Meanwhile, BNT Eurovision Bulgaria team has revealed titles of 13 songs still in the running and started introduction of the project. Three projects will be presented daily in text description. 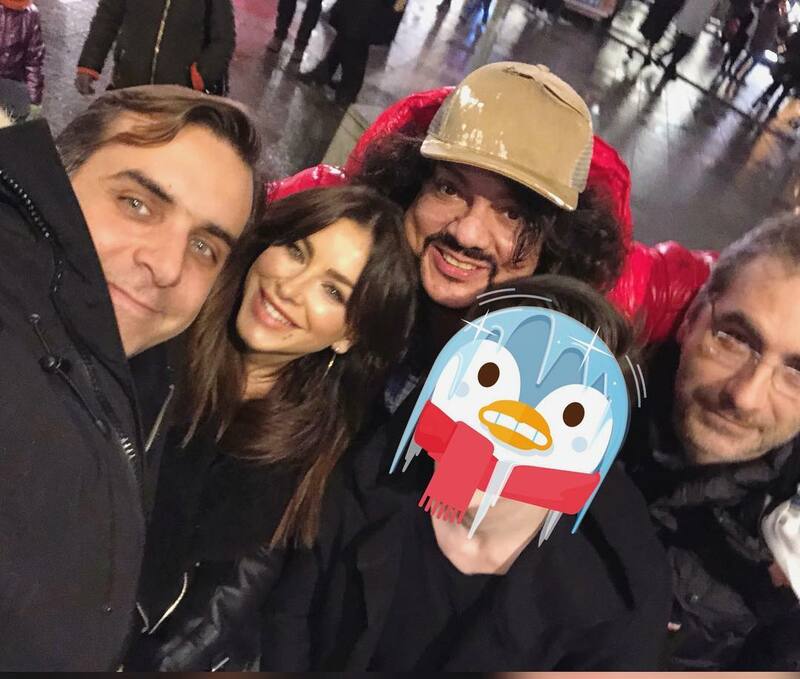 "#NewYear #NewProject" - these are the hashtags used to describe instagram photo of the Dream Team manager Ilias Kokotos which may (or may not) be the hint in the ongoing saga with which country the Dream Team will collaborate for the Eurovision 2018. "I've already written a song for one of the friendly countries, everything is ready, everyone will soon find out the details. I agreed to write the song only because the people in the EBU management have changed. By the way, this happened after the scandal with Sergey Lazarev, when there was an unfair harassment of Russia, an obvious prejudice in the evaluation of his performance. I have then raised a serious wave of statements because there were many resentful people. And then the changes in the EBU took place, so I agreed this year to accept an invitation from one of the countries that is in solidarity with the politics of my president"
Guess which country Philipp Kirkorov and his Dream Team will be collaborating at the Eurovision 2018? Write in options of other countries if you wish. Submission period for the internal Bulgarian Eurovision preselection is over. A record for all years of country's participations in the contest number of songs has been considered during it - 202. At the end of submissions, 13 complete projects were received (is is also 1 more than in the past year), which were submitted by 9 producers. 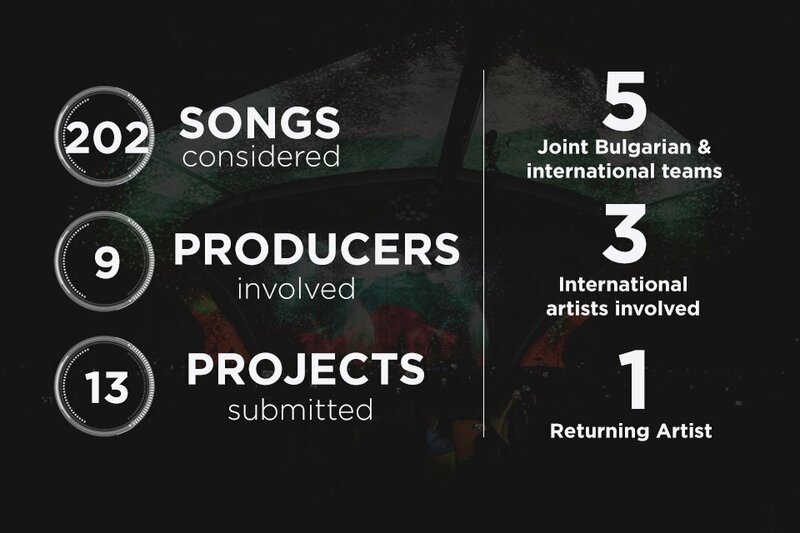 Out of them 5 are joint Bulgarian and international teams, 3 artists are foreigners and 1 is returning artist, previously already having competed in the Eurovision. Another returning singer is back as part of a group. All proposals received include songs performed in English. 12th project, which features returning artist, has been labelled by the PR representatives of the broadcaster as "insane". As can be concluded from the previous Twitter revelations by BNT, this project has been submitted by joint Bulgarian/International team, and returning artist is likely foreigner, performing in a duet or as a featuring artist with a local performer. Now submitted projects will be evaluated by various focus groups and juries. It is expected that the winner is chosen by the end of January, but it will be revealed only on the day of Heads of Delegations meeting in Lisbon - 12 March. "Most of the projects are in line with BNT’s policy to prioritise entries with modern sound. There are a lot of different styles. While being commercially viable, some of the projects are trying to be more art and to escape from the pure radio-friendly doctrine. 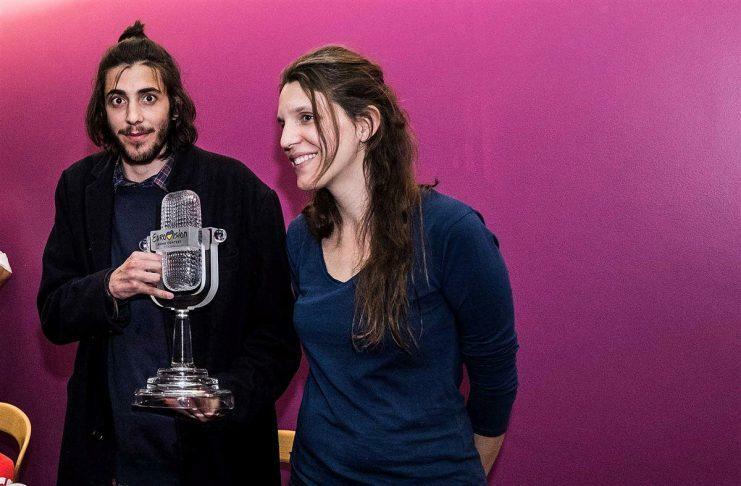 The effect of this year’s winner surely has an influence on the entries we got, although nothing comparable to Salvador Sobral’s music revolution that marked Eurovision 2017"
These six participants stand a chance of representing Germany at the Eurovision Song Contest in Lisbon: Xavier Darcy, Ivy Quainoo, Ryk, Michael Schulte, Natia Todua, and the voXXclub band are the participants in the "Unser Lied für Lissabon" ("Our Song for Lisbon") programme. Three broadcasters will air the German pre-selection for the ESC on Thursday, 22 February 2018, at 8:15 p.m.: Das Erste, ONE and Deutsche Welle. The 100 members of the Eurovision Panel and the 20-member international jury of experts voted for the six participants. The whole selection process began with 4,000 possible participants. Thomas Schreiber, Head of Entertainment at ARD: "Congratulations and thanks to our six acts! In a multi-stage process, they were selected by the members of our international jury and the 100 women and men who represent the international ESC viewers. They found six participants that promise to deliver a very exciting, diverse ESC semi-final. The goal is to find the best song for Lisbon now." The next step: A three-day Song Writing Camp will be held in Berlin during which up to 15 national and international lyricists, composers and producers will develop songs together with the six acts. On the basis of this material a decision will then be made as to which song is right for whom, and how the performance shall be staged. Producer of "Our Song for Lisbon" is Matthias Alberti of Kimmig Entertainment; the show will be developed jointly by Florian Wieder and Jens Bujar (Lodge of Levity), the voting experts of digame mobile and Norddeutscher Rundfunk (member station of ARD network). Director is Volker Weicker, commissioning editor Thomas Schreiber and Christoph Pellander. Advance tickets sales for the show are expected to begin in mid-January. Additonal information on all competing acts - Germany page. Names of the artists competing in the first heat of the national preselection of Lithuania that will be aired on 6 January have been revealed. At the same time, it became known that collaboration of SEL and Donny Montell which was rumoured for a long time to be Eurovision entry, eventually was not submitted to the preselection. Additonal information - Lithuania page. Internal auditions in front of the jury have determined 7 out of 20 participants of the third stage of HaKokhav HaBa L'Eurovizion show, serving Israeli national preselection for the Eurovision Song Contest 2018. Videos from the auditions can be seen here. Auditions will continue in the further episodes of the show. Alekseev of discord: The singer withdrew his bid to participate in the national selection of Ukraine for the Eurovision Song Contest 2018, and at the same time applied for the participation in the preselection of Belarus. Recall that on December 18, Ukrainian singer Alekseev announced that he would try his hand at the National Selection for the Eurovision Song Contest 2018: "There was not a single interview in which I would not be asked why I don't go to the Eurovision. I always joked about this topic, but now our team felt the strength to compete for the victory in this competition. We are used to setting new goals and overcoming them each time, "Alekseev wrote on his Facebook page. Official confirmation from the press service of the artist on the same day was published all over the Ukrainian media. Two days ago, the singer had also announced the termination of cooperation with Ruslan Kvinta as his music producer. Kvinta, creator of Alekseev's main hit "Pyanoye solntse" this year has been appointed as the music producer of Ukraine's selection for the Eurovision Song Contest 2018. As it was today reported by the Ukrainian STB channel, this week the management of the singer had informed the producers of the National selection of Ukraine that he withdraws the application on his own initiative. The reasons for this decision were not stated. As ESCKAZ informed earlier today, the application from the performer was accepted for the participation in the national selection of Belarus. Besides ESCKAZ, the same information has been released today by Sputnik agency. To remind, on 18 December Alekseev has been awarded "Singer of the Year" at "Our League" awards ceremony by Belarusian channel BelMuzTV. Another foreigner, who had entered Belarus preselection is Tajikistani Tahmina Niyazova. Singer, who won the Intervision Five Stars contest back in 2008 has already competed this year in Sammarinese preselection 1in360. Everything about the national selection of Belarus - on Belarus page. Listen to the already revealed songs on our VK page. 20 participants of Armenian preselection show "Depi Evratesil" are known. They have been chosen from over 100 applications received. Robert Koloyan, Sevak Khanaghyan, Suren Poghosyan, Mher Armenia, Tyom, Zhanna Davtyan, Hayk Kasparov, Gevorg Harutyunyan, Maria Sekret, Hasmik Shiroyan, Angel, Amalya Margaryan, Tamar Kaprelian, Lusine Mardanyan, Arman Mesropyan, Mariam, Kamil (Arsen Grigoryan), bands "Nemra", "Alternative" and "Gata Band". The contest entries will be presented on the Youtube page of the project on 15 January. The new season of "Depi Evratesil" will consist of 3 rounds: pre-selection, semi-final and final, which will be broadcast on the First Channel starting on 3 February, 2018. The contest winner will be determined by viewers and jury of international experts with a 50/50 ratio. TVE and Gestmusic will select only songs in Spanish for the Eurovision Gala of Operación Triunfo, explained on Twitter director of the production company Tinet Rubira. Search for the future Spanish entry is already underway, and Rubira notes: "We have already started and we are hopeful, we have good songs". "If the song is in Spanish it does not mean it is bad or if it is in English is also a guarantee of nothing. But any song in English sung by someone who does not master the language ceases to be competitive. We will look for a good song and the best interpreter", he explained. At the same time Rubira didn't exclude possibility of performances in other official languages of Spain. Five Operación Triunfo finalists will have only a week, as before any regular Gala to work on the contest entries. Being asked what criteria will be used to distribute entries between performers, Rubira ironically notes: "A roulette". "We always assign the songs that best match the characteristics of the contestants", he adds. Rubira stressed that the official information on the Eurovision selection will be provided by RTVE Press & Communications department shortly. German newspaper BILD claims it knows names of six finalists who will be battling it out for the ticket to Lisbon. However, commentary of ARD entertainment coordinator Thomas Schreiber suggests that one or two names might be wrong. "The article has been published without asking the broadcaster, so at the present time, the NDR will not comment on the speculation - for one simple reason: of the 6 participants offered to compete in the national final so far 4 have reported back (agreeing to the contract terms). Only when we have all confirmations that all the 6 will participate, will we announce their names (planned as soon as possible). One thing I would like to say is that not everything that Bild writes is correct"
Almost 4,000 acts have made themselves available as the participants for the German preselection or have been proposed for it. From these submissions, initially 211 videos were filtered out, which were presented to the 100-member Eurovision panel for evaluation. 20 favorites were invited to the Eurovision workshop. In the end, 17 of them accepted the invitation and completed the workshop. Auditions for the national preselection of Belarus for the Eurovision Song Contest 2018 will be held on one day - 11 January 2018. Official BTRC website will traditionally organize live webcast from the broadcaster's studio, while ESCKAZ team will attend the auditions as well. As usual, at the auditions all candidates will have to perform completely live, and photogram should not contain any type of vocals or any vocal imitations. All applicants, who submitted the necessary documentation in accordance to the regulations of the national preselection, will be invited to attend auditions. On today, more that 30 applications have been received by BTRC. Among candidates who have expressed their interest to compete are: Gunesh, Alexey Gross, Napoli, Kirill Yermakov, Alexandra Tkach, July, Provocation, Egiazar, Pauline, Alen Hit, Shuma and others. The deadline for submission of the applications for participation in the national qualifying round ends today. In accordance with the regulations, the last day of dispatch of parcels is December 26, 2017. It is worth noting that traditionally applicants send their parcels in the last days of the period, and this year was no exception. Therefore, Belteleradiocompany is waiting for several days more, allowing all applications sent within the established timeframe to reach the address of the media holding and to be considered by the selection organizers. Already on January 11 potential participants of the song contest will be able to present their compositions in front of the professional jury. The names of the finalists, who, according to the regulations, will not be more than fifteen, will become known on the same day in the evening. 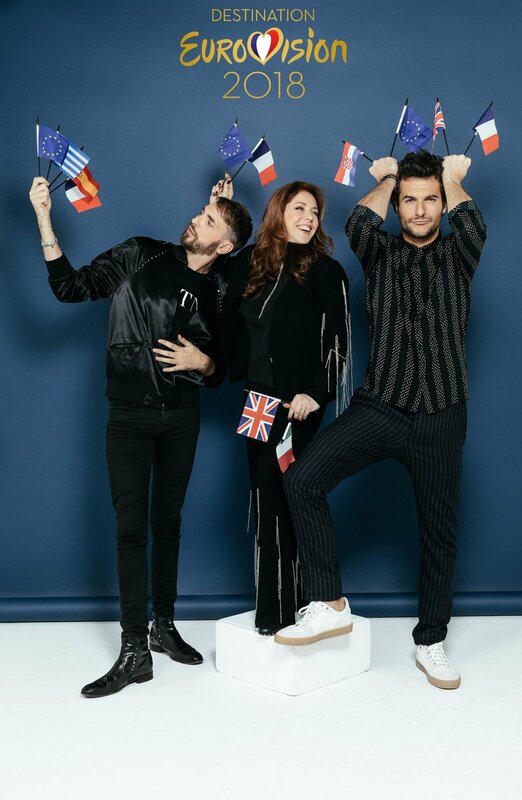 French national final Destination Eurovision will be aired on France 2 on Saturdays, starting on 13 January at 20:55 CET. To remind you, only the final show will be aired live, semifinals will be prerecorded on 8-9 January. In Israel first stage of the national preselection show "HaKokhav HaBa L'Eurovizion" is finally over. 66 participants have managed to pass through the auditions, but only 20 of them will proceed competing in the show. The field will be massively narrowed during the next show to be broadcast this Thursday. Eugent Bushpepa wins with "Mall". Read more on Albania page. The successful candidates will be invited to battle it out in seven live recorded shows, which will be broadcast on the web and via satellite TV across Europe from January to February 2018. The shows will be hosted by Nick Earles and Kristin Stein. Parts of the shows will be filmed and broadcast in 360 and virtual reality. In the finals, the three remaining candidates will each perform a cover and an original song. Songs for the three candidates with the most votes in the live recorded shows will be chosen internally in consultation with the candidates and be submitted to a public vote in the final show at the end of February 2018. Winner will be crowned as the internet candidate and San Marino's official representative at Eurovision 2018 and perform live in front of 200 million people and will get album recording contract as well. All 60 songs competing in the national preselection of Romania have been presented. Listen to them here. More info - Romania page. In a new video blog produced by NDR, LissaBjörn gives an impression of the current candidate selection process run by the Eurovision panel and the international jury of experts (including discussions with participants). 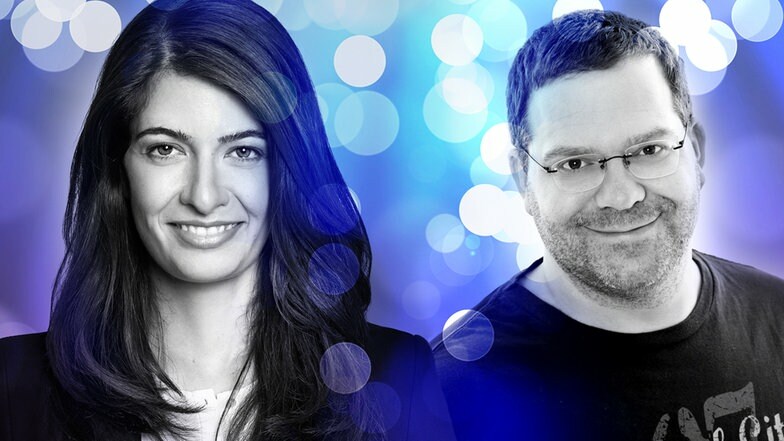 Meanwhile, Prinz Blog has spoken with the NDR entertainment director Thomas Schreiber in regards to the upcoming stages of the national preselection. Publication believes that there were 17 pre-finalists who attended bootcamp in Cologne, and Schreiber confirms their names will be released between Christmas and New Year. Eventually, approximately six acts will proceed to the national final stage. There will also be several special songwriting camps organized in Berlin - which will involve of up to 15 national and international songwriters. In the matching songs and performers will be involved the Publishing Task Force, led by Lars Ingversen. The final decision of the song selection should fall in agreement of artist, management, label and broadcaster. "Anything is possible: there maybe be added a featuring artist we do not know yet; maybe somebody will bring along own brilliant song", says preselection coordinator. During the national final jury and Eurovision Panel will be watching show on TV screens in a different studio. Therefore, there will be two hosts from both studios and additional host in a Green Room. One of the possible hosts apparently will bring a strong Eurovision memories to the viewers. 14 acts made it to the final - check the list of finalists on Albania page. The jury of Eurovision România has decided the semi-finalists of the National Selection. On Friday, December 22nd, the jury has announced the 60 semi-finalists who will compete in the National Selection of Eurovision Romania 2018. After hearing the 72 validated songs, the jury had the difficult task of choosing the songs that are going to enter the competition on the Eurovision stage in Lisbon. Marian Ionescu, Ilinca Băcilă, Nicu Patoi, Liliana Ştefan and Viorel Gavrilă are the jury members who have chosen the Eurovision Romania semi-finalists at this edition of the National Selection. Check the complete list at Romania page. Telewizja Polska SA announced the launched of the submission period for the Eurovision Song Contest 2018 national preselection. The deadline has been set on 1 February 2018. Of the songs qualified for the National Preselection televiewers and jury will select the winner, who will represent Poland in the 63st Eurovision Song Contest 2018. Submitted entries should have original music and lyrics (either in Polish or English) not being elaborations of folk melodies, as well as so-called "covers" or "loops". They should not be released or publicly performed in any version before 1 September 2017. Entries should be submitted electronically to eurowizja@tvp.pl or by post to "TVP SA ul. JP Woronicza 17 00 – 999 Warszawa" with note "Eurowizija 2018. Application must include promotional photos of the act, completed and signed annexes with statements of copyright. Selection of performers and songs for the National Final is left to the discretion and decision of the Commission of 3-9 people elected by TVP. Between five and ten entries will be chosen for the national final. Selected entries will be announced not later than 6 February. In the event of resignation or disqualification of the performer or song from participation in the National Qualification the applicant will cover the costs incurred by TVP SA related to the promotion of the performer and other related costs. National Final show will be held in Warsaw on yet unconfirmed date. In the case of a tie, winner of a jury vote will prevail. Private broadcaster of Kazakhstan 31 Channel issued a statement claiming reaching a deal to debut in the adult Eurovision Song Contest 2019. "Today we have received an answer from Portugal, according to which in May 2018, we will bring this time the adult singers to the Eurovision Song Contest in order to participate first in the qualifying round, and in 2019 - in the main Eurovision Song Contest. We will also be holding national qualifying round for it". "In order to participate in the Eurovision - both Junior and the adult - the broadcaster must become the EBU member. Therefore, Channel 31 took the initiative, so we became members of the EBU and therefore can send a performer to the Eurovision on behalf of Kazakhstan. In case the Kazakhstani performer wins, the next Eurovision will be held in Kazakhstan"
Kodzhahmetov also stated that he has invited the winner of the fourth season of the Ukrainian project "Voice.Kids" Danelia Tuleshova to take part in the national preselection for the Junior Eurovision. "31 Channel this year initiated participation in the Eurovision Junior - within the framework of the Eurovision there is a similar competition among children. In November this year, we have brought 7 Kazakhstani children to Georgia, among them were Zhugunusov brothers and Danelia. They have performed at the Euroclub - while the working committee of the Eurovision Junior has been watching there for the possible candidates for the participation. We will host a national casting and in the first half of the year it will be clear who will travel to Minsk to represent our country"
Ministry of Culture and Sports of Kazakhstan responding to the enquiry of Tengrinews has informed that 31 Channel has submitted application to join the European Broadcasting Union. Update: EBU denies that 31 Channel has been granted member status - the broadcaster has only expressed interest to become Associate Member, which will put it to the same position as the state broadcaster Khabar. Thus, any of Kazakhstani broadcasters will be able to take part in the Eurovision only on the basis of special invites - same as Australia. Preparations for the national preselection for the "Eurovision 2018" are underway in Belarus. How will the national contest be held - in an interview to Radius FM spoke the head of the Eurovision project in Belarus, Olga Schlager. Interview has been hosted by Elena Orlova. To date, there have been 12 applications received, but traditionally most of them are send in in the last days the submission period. Preliminarily, auditions are scheduled for one day - 11 January. Final of the national preselection will take place in February, and will again be hosted by Teo and Olga Ryzhikova. It's interesting that Olga Shlager stated during the interview that traditional songs will be allowed to take part in the contest this year, provided that the folk music will undergo a certain arrangement changes, and the lyrics will also be altered. During the interview Olga was critical towards organization of the Junior Eurovision online vote during 2017 event calling it "a system failure" and "non-performance of the commitments" by the organizers. "It were fans who voted before the show and not regular viewers during the show. We never were able to learn how exactly these votes were calculated, since not a single vote was accepted after the performances", emotionally told head of the project. The Bulgarian National Television has extended the deadline for the submission of complete creative concepts for the Eurovision 2018 selection until 29 December 2017 (original date was 20 December). To remind, the proposals should include a song, a performer, a stage performance strategy, and a budget for the associated costs the production company or team is willing to assume. After that, until January 31, submitted applications will be considered by a special committee, which will include both BNT representatives and foreign experts with experience in the music industry and the Eurovision. At the moment, 11 projects have been submitted by 8 producers. 3 of them are required to provide additional information. 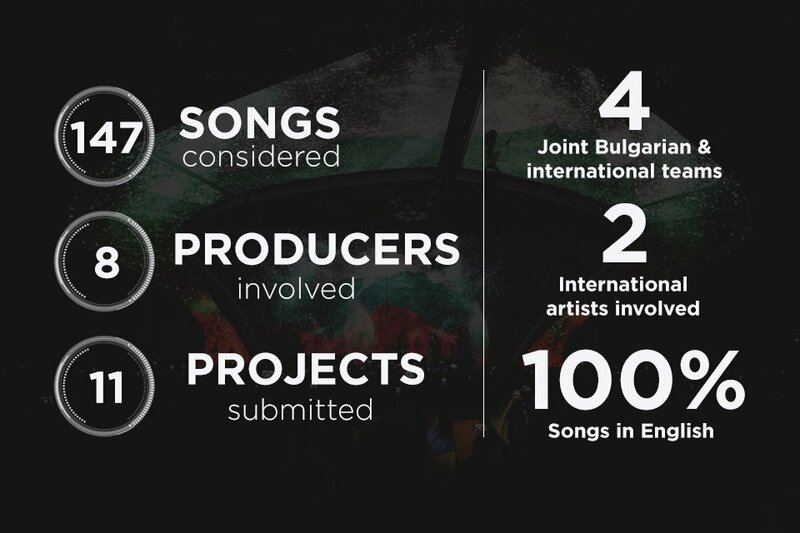 4 projects were created by joint Bulgarian-international teams, in 2 projects performers are international artists. In total, 147 songs were considered, all of them in English. Selected representative of Bulgaria and contest entry will be revealed on 12 March 2018. Musical producer of the national selection of Ukraine Ruslan Kvinta published a photo with the hashtag "#eurovision 2018 - casting is closed, thank you everyone, and see you soon !!!" 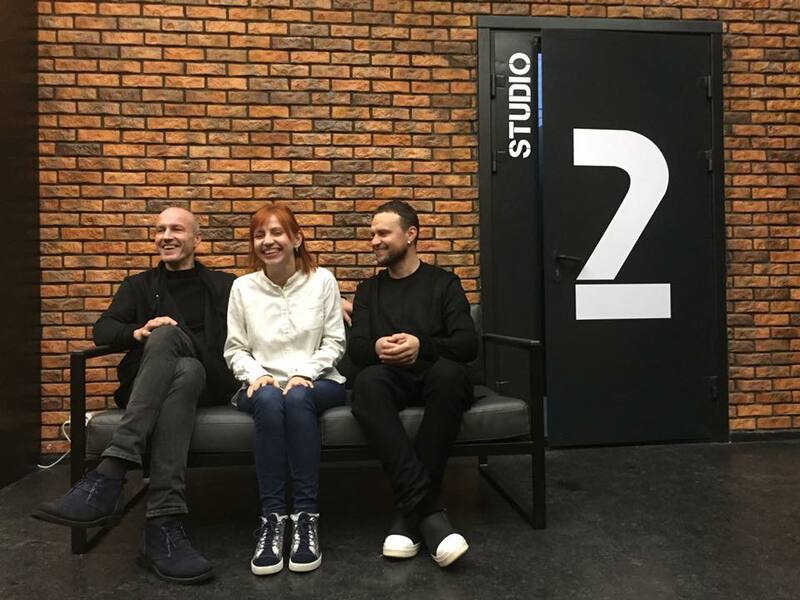 As can be seen in the photo, as in past years, the jury which was selecting the contestants included composer and producer Andre France and the head of the Eurovision project at the STB Natalia Franchuk. Recall that their wish to participate in the selection already was expressed by such performers as Alekseev, Melovin, Tayanna, Kazka, and the omnipresent Alex Angel. It should be noted that the applications are still being accepted until January 15, so this was not the last casting call of the project. IROL is winner of 3rd wildcard in 1in360 Eurovision Song Contest San Marino preselection. German broadcaster has released video footage on the ongoing process of the preselection with English subtitles. NDR's videoblogger LissaBjörn has visited a meeting of members of the German Eurovision panel - they have chosen possible candidates for the German ESC preselection show and took a look at the NDR workshop last weekend for these acts selected by the Eurovision panel. Update: Unser Lied für Lissabon - German Eurovision 2018 final has been set for 22 February, to take place in Berlin. RTVE has approved additional Eurovision gala of Operación Triunfo. It will not be enough to win the contest to represent Spain in Eurovision. A special program, approved this Tuesday unanimously by the board of directors of the public corporation as reports EL MUNDO, will determine who will be chosen to perform at the international contest that will be held in Lisbon in May of next year. As it happened in the first three editions of the format, broadcast on TVE, there will be a special program during which Spanish representative will be decided. Rosa achieved a double victory in OT1, with both victory in the program and in the Eurovision selection gala, which took her to Tallinn. 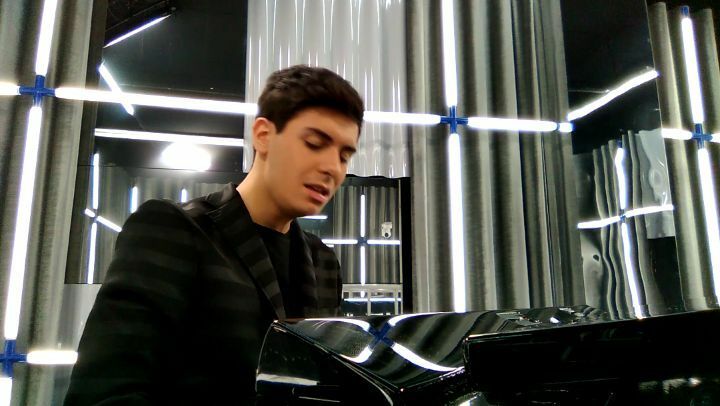 However, in the second and third seasons of the show those who won the program did not manage to get to represent Spain in Eurovision. Ainhoa ​​Cantalapiedra finished first in OT 2 , but it was the third classified, Beth Rodergas, who travelled to Latvia in 2003. Ramón del Castillo, second in the third season, travelled to Istanbul for the Eurovision 2004, while Vicente Seguí was crowned winner of the program. Update: Eurovision selection Gala will come before OT 2017 final, and will feature five finalists competing for Lisbon tickets. They will perform original songs composed by prestigious songwriters, assigned as usual by the professors of 'Operación Triunfo' Academy. Winner will be chosen by the public vote. This year’s edition of the National Selection has attracted 72 songs which enter the fight for a place in the semi-finals of Eurovision Romania. Local stars, such as Feli, Jukebox, Eduard Santha and Xandra, but also composers from abroad – Sweden, Belgium, Italy, Spain and the Republic of Moldova – are competing in order to represent our country in the next Eurovision edition. Experienced Eurovision artists have subscribed for the preselection: MIHAI, the fourth place at Eurovision 2006, Atena and Alex Florea, who has obtained the 7th position at the end of last year’s edition, together with Ilinca Băcilă. The registration campaign for the National Selection Campaign has ended on Friday, December 15th. A few busy days have followed for the organisers who have verified and counted the files subscribed within the contest. The procedure took place at TVR’s headquarters and the documents have been opened and verified in the presence of an authorised notary. 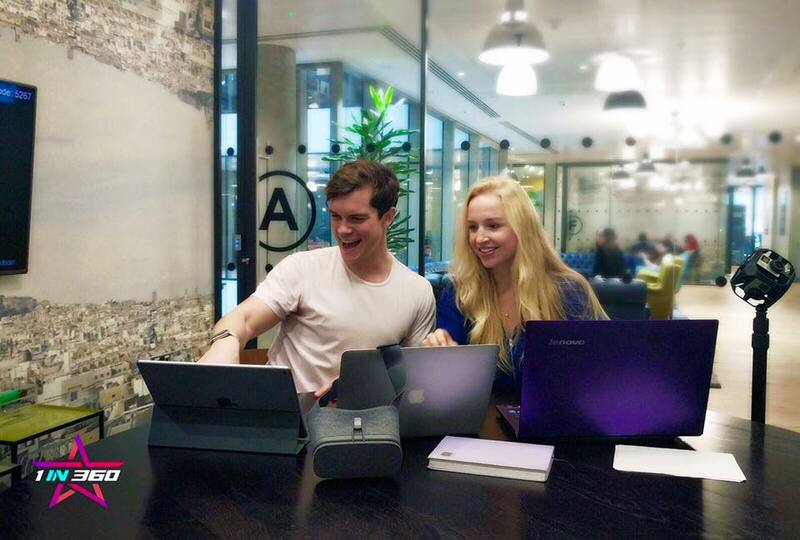 Just like the year before, the participants whose files did not meet all the conditions, had two more days at their disposal in order to complete their files. Auditions are next: the artists will perform the songs in TVR’s studios – a mandatory condition in order to participate at this contest – on Tuesday 19th, on Wednesday 20th, and on Thursday 21st. The artists will perform in front of the jury and guests who will support them from the steps of the stage. Lithuanian national final shows will start on 6 January and several names of competitors have already been revealed. According to the press release of the LRT, more than 50 performers and groups will compete in the Eurovision selection. For the selection, they could offer their own song or a song specially written for them, or choose from the works offered by the other composers. Erica Jennings, who had previously represented Lithuania with Skamp returns to the preselection, she will compete with the song Truth. Other female acts in the running are: Silvija Pankūnaitė, Mia, Kotryna Juodzevičiūtė, Rasa Kaušiūtė, Eglė Jakštytė, Donata Virbilaitė, Ieva Zasimauskaitė and Greta Zazza. On the men's side there are also well-known performers: Vidas Bareikis, Gabrielius Vagelis, Jurgis Brūzga, Robertas Kupstas. Bands are represented by "El Fuego", "The Roop", "EGO", "Saulės kliošas". National selection winner will become known in March. Allocation of the semifinals of Albanian Festivali i këngës në RTSH has been revealed. 16 out of 22 acts will qualify to the final show. More than 30 entries have been submitted to the Montenegrin preselection Montevizija as deadline passed on 15 December. Montevizija is likely to be held on February 17 next year in Hotel Hilton in Podgorica, says Music Editor of Radio Montenegro and member of the creative team of RTCG Vladimir Maraš to CDM. Winner will be chosen by televiewers from 5 entries competing in the national final. Maraš highlights that even despite "neighboring voting system" quality is always recognized, although lobbying activities also certainly play a major role in deciding the winners. "We can only adapt ourselves to the circumstances and try to ensure that our representative qualifies to the final evening, which, I sincerely believe, for Montenegro at this moment could be an extraordinary success"
Vladimir Maras says that the winning the Eurovision Song Contest can, but does not always to determine the career of a musician. "Today it's important to be trendy, whatever it means, more than have a good song or a quality artist. In recent years, we have tried various ways, we had both hits and misses. Therefore, it is our obligation to send the best of the received author's works, the rest is already in the hands of show-business, viewers interest and lobbying. So we will need a little bit of luck, "said Maraš. Attention, initial ticket information provided today by the official site of the contest contained wrong time of sales launch. As we have reported several times previously, the second phase of ticket sales will take place on 20 December 11:00 CET and refers to the Grand Final as well as Grand Final Family and Jury shows and will include tickets of all types of prices. One customer can purchase not more than 4 tickets. 6% service fee is applied to all purchases upon check-out. It is possible to order Limited Edition Collector's Souvenir Ticket which can later be picked up inside the venue on the day of the event for 5 € extra. BlueTicket operate a system called Queue-It, which is used to sell tickets for many of the biggest events in the world. It prevents the site from crashing if all users accessed the queue for the ticket selling platform simultaneously. The sale starts at 11:00 CET and from 07:00 CET protection system is activated. Those who arrive in the queue for tickets before the sale opens are assigned a random number at the time of the opening of the sale. This means that no one is at an advantage when they arrive on the ticket purchasing page just before the sale starts. Users who join the queue after the sale starts are then assigned a sequential number behind those who joined it beforehand. This system protects the site and user experience, ensuring adequate security levels and reducing the risk of purchase by automated systems and robots. On 19 and 20 December, entries competing in Estonian Eesti Laul will be presented to the public during marathon broadcast hosted by Mai Palling and Piret Järvis. Broadcast will run from 9am CET to 6pm. Besides listening to the entries for the first time, viewers will be able to watch live interviews with the participating artists. Preparations for the Albanian Festivali i Këngës 56 are under way at the Congress Palace. Stage construction, with a magic bow in gold and silver colors, created by the scenographer Alban Çifligu, is already underway. Work on the lighting, the sound, and the whole concept is curated by director Pali Kukes. JAVANEWS.al have managed to uncover some details of the stage, which is probably the largest ever made in the Congress Palace. Meanwhile, Adelina Ismajli has been confirmed as another special guest performer of the festival. In a statement to the Eurovision-Spain, Andorran broadcaster RTVA admitted that it would contemplate its return to the Eurovision if the Andorran government considered the festival as a priority and ensured an investment of 300,000 euros. At the same time Pyrenean broadcaster and Televisió de Catalunya discard to resume a joint collaboration of "12 punts" despite its positive assessment. Andorra left the musical contest back in 2010, after its cumulative debt forced the authorities to profoundly restructure their radio and television service, cancelling contracting of the external programs, and reducing more than 15 percent of the workforce. Since its debut in 2004 and until its withdrawal, the small Pyrenean state has devoted, on average, about 300,000 euros a year to the event, although unsatisfactory results ended up discouraging their participation. The Pyrenean chain remembers with nostalgia, its first appearance in Eurovision and the collaboration of Televisió de Catalunya: "We keep very good memories and experience of the program 12 punts with TV3 to choose our representative in 2004, because it helped us to prepare for the further editions". However, both broadcaster agree in their refusal to continue such a co-production. The public television of Catalonia reiteratreiteratess its intention to join the EBU, since the Union is not only composed of state broadcasters, but also regional corporations (in case of United Kingdome, or two Belgian broadcasters). The Catalan station would fulfill the key requirement to join the European organization as a full member: TV3 is "a national corporation because it covers a linguistic area of ​​its own in a plurilinguistic state". Portuguese broadcaster RTP will air 2-part documentary about the victory of Portugal in the Eurovision 2017 on 26-27 December. "Sem Fazer Planos Do Que Virá Depois" (Without Making Plans For What Will Come After) is the name of the documentary by Nuno Galopim and Miguel Pimenta on Portugal's triumph at the Eurovision Song Contest 2017, which will air on RTP on December 26 and 27 at 9:00 p.m. The film tells the story of the Portuguese victory in two episodes that include behind-the-scenes footage, unheard-of musical moments starring the Sobral siblings and testimonies of Salvador and Luísa, as well as other Portuguese talents such as Simone de Oliveira, Lena d'Água, Celina da Piedade, Noiserv, Tozé Brito, Júlio Isidro, José Carlos Malato, Filomena Cautela and the members of the RTP team who worked on the 2017 edition of Festival da Canção and the Eurovision Song Contest in Kyiv. First episode includes a trip back in time to the revamp of the national Festival da Canção which brought to the participation some major names of Portuguese music. The second episode tells the story of Kyiv adventure and how Salvador Sobral's song captivated everyone. 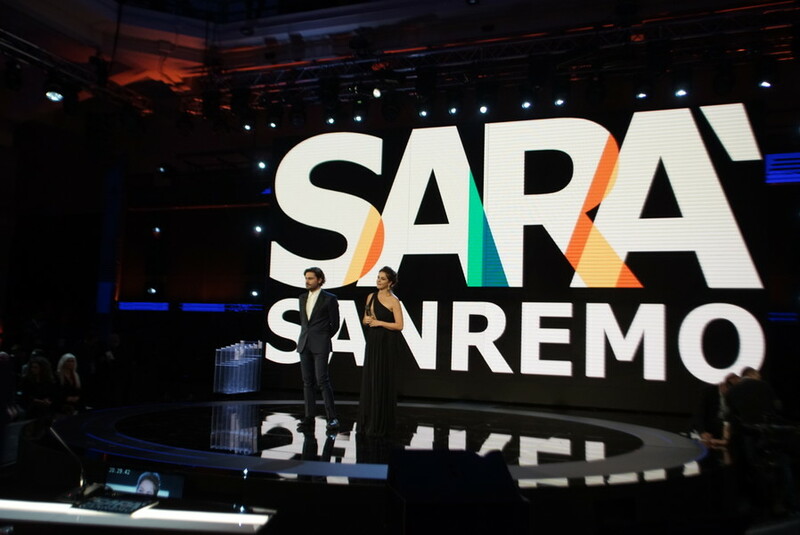 Starting from the first appearance of Salvador on the "Red carpet", dress rehearsals, as well as the emotional moments of what Nuno Galopim, journalist, music critic and consultant of RTP calls "unique moment in the history of Portuguese music". 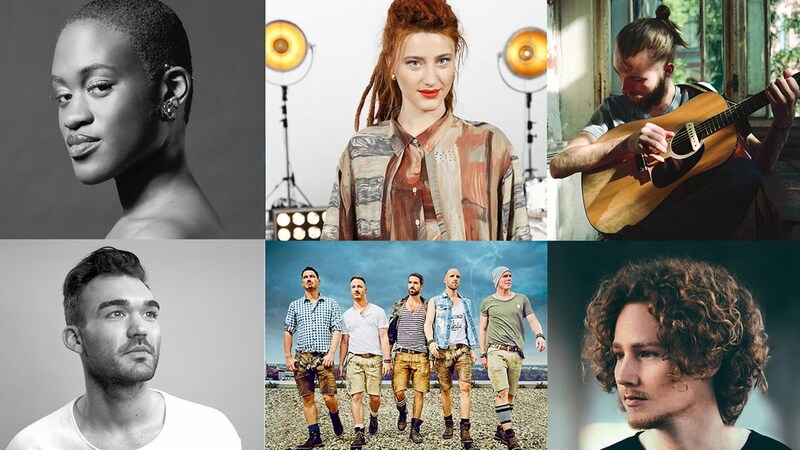 Three more names competing in German preselection revealed being band VoXXclub, trio Laura Kästel, Aubrey Bacani and Wanja Janeva, duet ZweiLand (Supertalent winner Jay Oh and Diana Schneider known from Big Brother and Köln 50667). 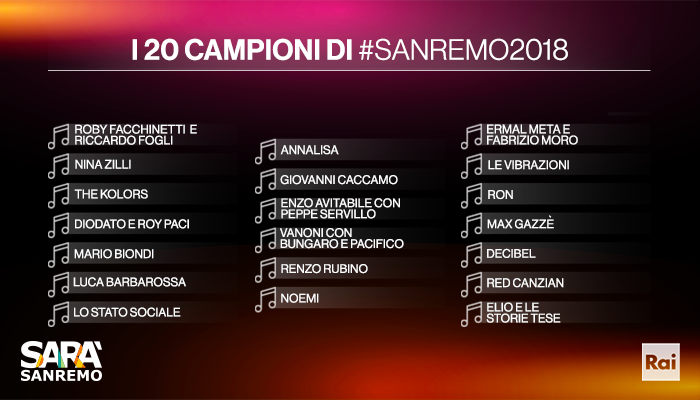 List of participants of Campioni section of Sanremo Festival has been revealed tonight. One of these acts will be representing Italy at the Eurovision Song Contest 2018. Нереа покидает Академию Operación Triunfo, в шоу остается семь участников. Амайю и Мириам спасает жюри, Альфреда спасают профессора, Айтану - другие участники, таким образом на вылет номинированы Ана Герра и Рой. Видео выступлений можно увидеть здесь. 12 лучших исполнителей вышли в следующую стадию: Riki Ben Ari, Jonathan Mergui, Neta Barzilai, Ravit Batashvili, Chen Aharoni, Sarit Hativa, Eden Meiri, Hayemen, José Steinberg, Howie Danao, Shir Baruch, Adva Omer. 27/28 января, 3/10 февраля, и финал 27 февраля, в который выйдут только 3 лучших исполнителя. В финале шоу будет использовано телеголосование. Репетиции и съемки шоу начнутся 11 января. Шесть песен, шесть жанров, шесть артистов. Более четырехсот заявок от различных продюсеров, артистов и групп со всего мира поступило в телевидение Чехии. Из них тридцать шесть заявок были написаны местными авторами. Шесть лучших, принимающих участие в национальном отборочном раунде EUROVISION SONG CZ были представлены сегодня чешским вещателем. "В этом году у публики будет возможность повлиять на итоги отбора - каждый сможет проголосовать за одну из шести песен, вышедших в национальный финал. Голосование будет проводиться через официальное мобильное приложение Евровидения. Параллельно с этим, в выборе песни-победительницы примет участие и международное жюри", объясняет креативный продюсер Ян Потмешил. Глава делегации Чехии Ян Борс добавляет: "Песня, получившая наибольшее количество баллов от жюри и публики и станет победителем, и представит нашу страну на самом крупнейшем неспортивном мероприятии в мире." Прослушать участвующие песни вы можете здесь и проголосовать при помощи официального мобильного приложения. Дополнительная информация - страница Чехии. На прошлогоднем Евровидении в Киеве впервые в истории ведущими конкурса были выбраны три мужчины. На этот раз, RTP, телеканал-организатор Евровидения 2018 выбрал четырех женщин-ведущих, которые разделят обязанности во время шоу в мае. Ими стали: Филомена Каутела, Сильвия Альберто, Даниэла Руа и Катарина Фуртадо. Филомена Каутела родилась в Лиссабоне 16 декабря 1984 года. Она начала свою актерскую карьеру в театре в 2000 году. В 2004 году она дебютировала в кино, а в 2005 году она была представлена ​​в качестве ведушей телеканала MTV Portugal. Филомена продолжила выступать как в театре, так и в кино, в то время как ее телевизионная карьера переносила ее на разные телевизионные станции и новые шоу. С 2015 года она ведет вечернее ток-шоу 5 Para a Meia Noite на RTP. Среди других проектов она была ведущей Green Room в португальском национальном отборе на Евровидение, Festival da Canção 2017 и глашатаем португальского жюри на Евровидении 2017. Сильвия Альберто родилась в 1981 году и дебютировала на телевидении в Clube Disney (Клуб Дисней), когда ей было 19 лет. Через год она стала вести новое ТВ-шоу на RTP, а также начала карьеру на радиостанции Mix FM, местной станции в Лиссабоне. Перейдя на частный канал SIC, она работала репортером и вела шоу Idols в 2003 и 2004 годах. В 2005 году она была ведущей гала Globos de Ouro (Золотой глобус). Сильвия вернулась на RTP в 2006 году, чтобы провести несколько шоу талантов, таких как Strictly Come Dancing, Masterchef, Top Chef и Portugal Got Talent. В 2008 году она дебютировала в качестве ведущей на Festival da Canção и с тех пор ведет его регулярно. Она также была комментатором конкурса Евровидение на RTP в 2011, 2013 и 2014 годах. Даниэла Руа родилась в Бостоне 2 декабря 1983 года. В возрасте пяти лет ее семья переехала в Португалию, а в шестнадцать лет она начала свою актерскую карьеру. Даниэла получила степень бакалавра в области исполнительского искусства в Лондонском университете Метрополитен, а вскоре переехала в Нью-Йорк, чтобы учиться в Театральном и Кино-институте Ли Страсберга. Даниэла снялась в фильме Джорджа Лукаса "Red Tails" и дебютировала в театре "Хэйворт" Лос-Анджелеса в роли Кэтрин в постановке "Proof" Дэвида Оберна. Даниэла в настоящее время играет роль Специального агента Кенси Блей в хит-шоу CBS "Морская полиция: Лос-Анджелес", который привлекает в среднем 11 миллионов зрителей в неделю. Помимо своей работы в качестве актрисы Даниэла вручала награду People Choice Awards в 2012 году и в 2016 году была соведущей Суперкубока Super Bowl на CBS. Катарина Фуртадо родилась в Лиссабоне 25 августа 1972 года. Катарина уже несколько лет работает телеведущей и актрисой, разрабатывая множество проектов, связанных с расширением прав и возможностей. Согласно исследованию Marktest в 2017 году, Катарина считалась самым заслуживающим доверия человеком в Португалии, несколько раз признаваясь в качестве подлинного вдохновения за ее работу и благотворительность. Катарина была послом доброй воли Организации Объединенных Наций с 2000 года, а в 2012 году учредила НПО Corações Com Coroa (Сердца с короной) для повышения осведомленности о правах женщин и расширении прав и возможностей женщин. В 2015 году она опубликовала книгу обо всех переживаниях, которые сопутствовали ей в профессиональной и добровольной работе: "O que vejo e não esqueço" (Что я вижу и не забываю). В 2013 году Катарина завоевала премию "Женщина года" журнала GQ, а в 2016 году премию E! в области "Развлечений". Линда Зервакис и Элтон станут ведущими немецкого национального отбора "Unser Lied für Lissabon". Линда Зервакис начала свою карьеру с молодежной радиостанции NDR и программы N-JOY и также вела "Experiment mit Linda Zervakis" на телеканале NDR. На ARD она была, помимо прочего, ведущей "Nachtmagazin" и основного вечернего выпуска новостей "Tagesschau". "Я буду рада объявить решение о победителе из Берлина в этот вечер", говорит Линда. Элтон уже имеет опыт работы с Евровидением. Он входил в состав команды Лены на Евровидении в Осло, будучи ведущим программы "TV Total" в прямом эфире из столицы Норвегии. Шестью годами ранее, он сопровождал Штефана Рааба и Макса Мутцке на Евровидении в Стамбуле. С 2015 года Элтон является соведущим ряда программ Das Erste, таких как "Wer weiß denn sowas? ", а также его можно видеть на телеканале NDR в программе "Die Superpauker". Еще четыре исполнителя прошли в 12 сильнейших израильского отбора HaKokhav HaBa L'Eurovizion. Все выступления можно увидеть здесь. Песня участника национального отбора Мальты Айдана "Dai Laga" основана на платном (30 долларов США) сэмпле "(Justin Bieber, Major lazer type) Come Alive Prod By Lttb by Prod by LTTB", выпущенном в августе 2016 года. Также известно множество других песен, в которых был использован данный сэмпл. Согласно правилам мальтийского отбора: "Композиции (текст и музыка) не должны были быть выпущены коммерчески до 1 ноября 2017 года. В случае, если композиция была доступна публике, например (но не ограничиваясь) онлайн видео платформами, социальными сетями или (полу-) публично доступными базами данных, артист обязан проинформировать об этом вещателя PBS, который и имеет право окончательного определения того, имеет ли композиция право участия в конкурсе. Дополнительная информация - страница Мальты. Полные версии всех песен, принимающих участие в национальном венгерском отборе A Dal стали доступны для прослушивания на его вебсайте. Дополнительная информация - страница Венгрии. 22:00 Москвы, Литва, Национальный отбор, Шоу 1, LRT, онлайн. Ieva Zasimauskaitė, Godo, Milda Rasilavičiūtė, Lukas Norkūnas, Germantė Kinderytė, Benas Malakauskas - вышли в следующий раунд. "В этом году сцена "Суперновы" станет большой игровой площадкой, на которой все участники встречаются только с одной мыслью – победить. Супернова и жизнь - как стратегическая игра – тот, кто выглядит сильнее, не всегда доходит до конца. Может удивить что-то неожиданное. Каждому участнику необходимо самому свои хода и стратегию как себя показать. В Супернове никогда нельзя знать наперёд что произойдёт дальше – как отреагирует жюри, как отреагируют зрители"
После того, как хорватскому вещателю, по всей видимости, пришлось отказаться от планов проведения национального отбора Dora, вновь повисла тишина безызвестности. Однако, местное СМИ 24sata.hr полагает, что речь в настоящее время идет о выборе между тремя исполнителями - Индира Левак, Франка Бателич, Дамир Кеджо. - Я не могу ни подтвердить, ни опровергнуть эту информацию. Были разговоры о возможном участии Индиры в Евровидении, но ничего более определенного", говорит Мирослав Левак, муж певицы. Бывший чемпион по бодибилдингу, который работает менеджером бывшей солистки Colonia, говорит, что если предложение будет получено - 44-летняя Индира Левак с радостью примет его. "Евровидение - это вызов для всех музыкантов. Это прекрасно - представлять свою страну на одном из международных конкурсов", говорит Левак. Помимо Индиры, также обсуждаются имена 25-летней Франки Бателич и 30-летнего Дамира Кеджо. Менеджер Франки Синиша Беванда отказалась дать комментарии по данному вопросу. "Никто не связывался с нами, но я знаю, что у Кеджо не только большое желание принять участие в Евровидении, но и победить на нем", говорит менеджер артиста Горан Белошевич. Оглашение порядка выступлений в полуфиналах шведского Мелодифестивалена в понедельник не состоится. Как оказалось, один из сотрудников команды по подготовке опубликовал прошлогоднюю информацию. Действительно, в прошлом году оно прошло 8 января в понедельник. Дополнительная информация - страница Швеции. В Израильском шоу "HaKokhav HaBa L'Eurovizion" началась стадия дуэлей, в сегодняшнем шоу было показано 4 из 10 поединков этой стадии. Все видео выступлений можно увидеть здесь. Представитель Австрии на Евровидении 2018 Сезар Сэмпсон дал интервью немецкому Prinz Blog, где рассказал о том, что его кандидатура была утверждена для участия в конкурсе прежде всего благодаря его конкурсной песне. "Стилистически, вы можете назвать меня кроссовер артистом. Для меня всегда сосуществовали несколько жанров, и эта песня не будет отличием. Это очень современная песня, в которой, если захотеть, можно услышать как блюзовые нотки страдающего сердца, так и госпел беспредельной преданности, и вплоть до триумфально сжатого кулака классического рока"
"Сложные вокальные треки часто являются неотъемлемой частью песни. На Евровидении их нужно воспроизвести вживую. Ответственность вокального продюсера - подобрать такую команду, чтобы песня прозвучала как можно ближе к студийной версии. Иногда приходится немного переработать и изменить звучание. Приходится много репетировать с солистом и бэк-вокалистами"
С прошлых двух лет Евровидения у него остались наилучшие воспоминания об атмосфере, и сообществе фанатов конкурса. Его фавориты с Евровидения - Джамала и Кончита Вурст. "Каждый участник Евровидения - стремится к победе! Но прежде всего для меня важным будет чтобы, когда я буду пересматривать свое выступление, чтобы я согласился с тем, что оно было ударным", говорит Сэмпсон. Телевидение Чехии сообщило информацию о схеме проведения чешского отбора Eurovision Song CZ. Публика сможет проголосовать за лучшие песни с 8 по 22 января посредством официального мобильного приложения Евровидения. Голосовать могут все, но засчитаны будут только голоса из самой Чехии. Голосование будет бесплатным, и допускается только 1 голос с устройства. Международное жюри будет состоять из 8 членов, их имена будут оглашены после завершения голосования, оно также продлится до 22 января. И зрители и жюри проголосуют по схеме 8-6-4-3-2-1. В случае равенства баллов преимущество получит фаворит зрителей. Голоса жюри будут оглашены 22 января, окончательные итоги и победитель - 29 января. Представлены композиции, принимающие участие в национальном отборе Мальты на Евровидение 2018 и lyric videos на них. Прослушать их можно на сайте TVM или на Youtube канале. Финал этого года пройдет в зале MFCC 3 февраля 2018 года. Слоган конкурса этого года #jointhemagic. Были внесены изменения в систему голосования, победитель будет выбран совместным решением телезрителей и жюри, в весе 50 на 50. В Испанской академии Operación Triunfo осталось всего восемь участников, а это значит, что сейчас в Испании всего 8 человек, которые могут представить страну на Евровидении 2018 года. - Она уже получила титул "Амайя Испанская"
- Ее выступления лучше всего просматриваются на видеоплатформах, на прошлой неделе "Shake It Out" собрало 2 миллиона просмотров менее чем за 48 часов, став трендом №1 на Youtube. - Никто из ее коллег в Академии не может представлять латинский характер. - Она также превосходный друг, всегда внимательный к другим. - Она лучше всех дает интервью, она ясна, лаконична и образована. - Она автор песен, а также актриса. Она многому научилась в классе хореографии. - Она была дважды спасена другими участниками, поэтому она тоже хороший друг. - Она умеет петь самые сладкие песни, но может стать львицей. - У нее профиль международной балладного певицы, который часто успешен на Евровидении. - Она исполнила "Quédate conmigo" Пасторы Солер в шоу. - Он храбрый - он был номинирован с песней Бруно Марса, а затем исполнил еще одну его песню в финальной битве. - У него своеобразный тембр голоса, но, прежде всего, он современный. После окончания академии в европейской поп-музыке может найтись для него место. - Он очень стабильный. Он не прекращает работать, пока не справится с задачей, которая была поставлена ему. По неофициальной информации Evrovizija.com финал словенского национального отбора EMA пройдет 24 февраля, а полуфинал - на неделю раньше. EMA будет проведена в Студии 1 Словенского телевидения без зрителей. В полуфинале все песни будут исполнены на словенском языке, а в финале выбор языка исполнения будет свободным. Дополнительная информация - страница Словении. Телеканал-организатор RTP объявит в понедельник, 8 января, имена ведущих конкурса Евровидение 2018. Ожидается, что у конкурса будут два ведущих. Также в этот же день, шведский телеканал SVT представит порядок выступлений артистов в полуфиналах Melodifestivalen. Это произойдет в 15:00 Москвы. Из репортажа RTP также стало известно, что Евроклуб Евровидения 2018 расположится в районе Кайш-ду-Содре, но точная локация так и не была названа. Предполагается, что ею станет площадка "Lust In Rio". Подробнее - страница организации мероприятия. Завершились съемки 1го шоу литовского национального отбора. Дополнительная информация - страница Литвы. Четыре фокус-группы были созданы болгарской командой Евровидения для оценки 13 поступивших конкурсных заявок. 1. Профессионалы в области музыки, продюсеры, ТВ эксперты, менеджеры по маркетингу и т.п. 2. Журналисты, представители прессы, эксперты по ставкам. 4. Народная группа - смесь между обычными зрителями и фанатами Евровидения в пропорции, примерно соответствующей структуре зрителей Евровидения. Формирование последней из них еще продолжается. Окончательно ее список будет утвержден 7 января, когда будут отобраны несколько кандидатов из числа подписчиков команды БНТ в Твиттере. На данный момент в нем поступило уже свыше 250 заявок от желающих попасть в данную фокус группу. Каждый член фокус группы будет голосовать на платформе независимо друг от друга. Система будет одинаковой для всех групп, но интерпретация результатов и вес каждого голоса может отличаться в зависимости от уровня группы и индивидуального профиля каждого из ее членов. 3) Песня получит определенный средний балл в каждой из фокус групп без учета коэффициентов, в отличие от 1 пункта здесь каждый голос будет равновесным. После изучения данных о голосовании всех фокус групп, а также замечаний от их членов, будет подготовлен итоговый отчет обо всем процессе отбора, который послужит инструментом для принятия окончательного решения о победителе внутреннего отбора. Тем временем, болгарское издание blife.bg пишет сегодня о том, что "возвращенцем" на отбор является Кристиан Костов. Однако, это противоречит подсказке о том, что сложно будет угадать имя "возвращенца" принимая во внимание бывших представителей Болгарии. Ни команда исполнителя, ни команда БНТ не прокомментировали данные публикации. Дополнительная информация - страница Болгарии. Сепеда покидает шоу, в Академии остаются 8 конкурсантов. Айтана становится фаворитом шоу, в тройку попадают также Альфред и Амайя. Мириам спасена профессорами, Альфред спасен конкурсантами, Агоней и Нереа номинированы на вылет. Болгарское телевидение завершило текстовое представление проектов, принимающих участие в закрытом национальном отборе. Подчеркивается, что на широкую публику заявки представлены не будут, но при этом к ним получит доступ ряд фокус групп, в том числе составленных и из тех, кто подписан на Твиттер вещателя. Желающие должны оставить комментарий к данному твиту креативно написав в нем, почему именно вы должны быть выбраны в состав фокус-группы. Крайний срок- 7 января. Завершено формирование 20 сильнейших исполнителей в израильском отборочном шоу HaKokhav HaBa L'Eurovizion. Ofir Harush, The Choice, Gal Yaakoni, Axum, Shir Gadasi, Tal Mizrahi - также вышли в следующий тур, их выступления не были показаны. Все выступления выпуска можно увидеть здесь. Болгарское телевидение опровергло слух о том, что конкурсантом "возвращенцем", заявившимся для участия в отборе является шведская победительница конкурса Лорен. Одновременно, ответ опровергает и появившийся вчера вариант о возвращении от Болгарии Ани Лорак. "Это действительно известный артист, занявший высокое место, но совсем недавно"
Ранее, по этому же поводу было сказано: "Вы не угадаете кто это даже за миллион попыток, даже если вы примете во внимание всех наших бывших представителей и их бэк-вокалистов. Потому даже можете не пытаться". В БНТ подчеркнули, что иностранец не может представлять страну сольно - только при условии того, что в выступлении будет задействован и певец с болгарским гражданством. Тем временем, команда Болгарии представила названия 13 конкурсных песен, которые находятся на рассмотрении, и начала краткое текстовое представление проектов. В день будут представлены по 3 проекта. Bad News - смесь между Бродвей стилем и радийным коммерческим звучанием. Нестандартная комбинаций. Bones - темная, современная "silent", душевная баллада. Глубокие эмоции. Очень духовная. Мощный припев. Cold As Ice - дуэт. Модуляция. Евровидийная. Быстротемповая. Colours - запоминающаяся быстротемповая мелодия. Радийная и чартовая композиция. Очень современная. С R'n'B налетом. Sky Symphony - быстротемповая, оптимистичная. С небольшим евразийским налетом. Two Hearts Collide - противоречивые чувства. Среднетемповая. Коммерческое регги. Сильный припев. Современная. "Новый год - Новый проект" - так озаглавлена данная фотография в инстаграме продюсера Dream Team Илиаса Кокотоса, которая может быть (или не быть) новой подсказкой в продолжающейся саге о том, с какой страной Dream Team будет сотрудничать на Евровидении 2018. "Песню уже даже написал для одной из дружественных стран. Все готово. Все скоро узнают. Я согласился написать песню только потому, что поменялись люди в руководстве EBU. Кстати, это произошло после скандала с Сережей Лазаревым, когда была несправедливая травля России, очевидная предвзятая оценка его выступления. Я тогда поднял серьезную волну своими заявлениями, потому что возмущавшихся было много. И в EBU произошли изменения. Поэтому я согласился в этом году принять приглашение от одной из стран, которая солидарна с политикой моего президента"
Завершен прием заявок во внутреннем отборе Болгарии на Евровидение 2018. В его рамках было рассмотрено рекордное за все годы участия этой страны в Евровидении количество - 202 песни. На момент окончания приема заявок было принято 13 проектов (это тоже на один больше, чем в прошлом году), заявленных 9 продюсерами. Из них 5 - это совместные болгарские и международные команды, 3 артиста - иностранцы, 1 артист ранее принимал участие в Евровидении. Еще 1 артист, ранее участвовавший в Евровидении, возвращается в качестве участника группы. Все полученные проекты содержат песни на английском языке. 12й проект, с участием "возвращенца" представители вещателя охарактеризовали как "insane" (нереальный, сумашедший). Как можно судить из предыдущих публикаций, этот проект был заявлен совместной болгарско-международной командой, а "возвращенец" - скорее всего иностранный артист, вероятно выступающий в дуэте или ином сотрудничестве с местным исполнителем. Заявленные проекты теперь оценит ряд фокус групп и различных жюри. Ожидается, что победитель будет выбран до конца января, но представлен публике только 12 марта, в день встречи глав делегаций в Лиссабоне. "Большая часть проектов соответствует плану BNT приоритета песням с современным звучанием. Есть множество различных стилей. По прежнему владея коммерческим потенциалом, некоторые проекты стремятся к большему уровню искусства, и пытаются отойти от чистой радийной доктрины. Эффект победителя конкурса 2017 года несомненно повлиял на полученные нами заявки, хотя ничто не может быть сравнимо с музыкальной революцией, которую музыка Салвадора Собрала произвела на Евровидении 2017"
Финалистами отбора Германии "Unser Lied für Lissabon" становятся Ivy Quainoo, Natia Todua, Xavier Darcy, Ryk, voXXclub и Michael Schulte. Шесть финалистов были отобраны на основе голосования Eurovision-Panel из 100 человек и международного экспертного жюри из 20 членов. Первоначально, в отборе принимало участие около 4000 кандидатов. Das Erste будет транслировать немецкий отбор в четверг, 22 февраля 2018 года, в 8:15 вечера по местному времени (22:15 Москвы) из Берлина. Томас Шрайбер, координатор развлекательного вещания ARD: "Поздравляем и благодарим наших шестерых финалистов! Они были отобраны в многоэтапном процессе членами международного жюри и 100 людьми, которые представляют собой вкусы международной аудитории Евровидения. Впереди нас ждет захватывающее, разнообразное шоу национального отбора, и теперь речь идет о поиске лучшей песни для Лиссабона. На следующем этапе до 15 национальных и международных авторов, композиторов и продюсеров будут разрабатывать песни вместе с шестью конкурсантами в специальном трехдневном лагере. Основываясь на этом материале, затем будет решаться совместно, какая песня является подходящей для кого из участников и какой номер на нее может быть поставлен"
Продюсером "Unser Lied für Lissabon" является Матиас Альберти из Kimmig Entertainment, которая организует шоу совместно с Флорианом Видером и Йенсом Буджаром (Lodge of Levity), digame mobile и Norddeutscher Rundfunk. Режиссер Фолькер Вейкер. Предполагается, что билеты на шоу поступят в продажу в середине января. Более подробная информация о национальном отборе будет объявлена ​​НДР позднее. Дополнительная информация об участниках - на странице Германии. Стали известны имена артистов, которые примут участие в первом шоу литовского национального отбора, назначенном на 6 января. Тем временем, стало известно, что совместная работа SEL и Donny Montell, которую долгое время пророчили к участию в национальном отборе, не была подана на него. Закрытые прослушивания перед жюри определили 7 из 20 участников третьей стадии шоу HaKokhav HaBa L'Eurovizion, которое служит национальным отбором Израиля на конкурс Евровидение. Видеозаписи можно увидеть здесь. Прослушивания продолжатся в следующих выпусках шоу. Alekseev раздора: Певец отозвал заявку на участие в нацотборе Украины на Евровидение 2018, и в то же время подал заявку на участие в отборе Беларуси. Напомним, что 18 декабря украинский певец Alekseev сообщил, что попробует свои силы на Национальном отборе на Евровидение-2018: "Не было такого интервью, в котором мне бы не задавали вопрос, почему я не еду на «Евровидение». Я всегда отшучивался на эту тему, но сейчас наша команда почувствовала в себе силы побороться за победу в этом конкурсе. Мы привыкли каждый раз ставить себе новые цели и преодолевать их", — написал Alekseev на своей странице в Facebook. Официальное подтверждение от пресс-службы артиста в тот же день облетело все украинские СМИ. Два дня назад певец объявил о прекращении сотрудничества с Русланом Квинтой в качестве музыкального продюсера. Квинта, автор главного хита Алексеева "Пьяное солнце" в этом году является музыкальным продюсером отбора Украины на Евровидение 2018. На этой неделе менеджмент певца сообщил продюсерам Национального отбора Украины, что отзывает заявку по собственной инициативе. Причины такого решения представители артиста комментировать отказались. Как сообщил сегодня ESCKAZ, заявка от исполнителя была принята на участие в национальном отборе Беларуси. Помимо ESCKAZ ту же информацию сегодня публикует и агентство Спутник. Напомним, что 18 декабря Alekseev получил премию "Певец года" на церемонии "Наша Лига" белорусского телеканала БелМузТВ. Победительница конкурса "Пять звезд. Интервидение" (2008) Тахмина Ниязова из Таджикистана также подала заявку на участие в национальном отборе Беларуси. Напомним, что в этом году Тахмина принимала участие и в отборе Сан-Марино 1in360. Все о национальном отборе Беларуси - на странице Беларуси. Послушать уже представленные песни можно на нашей странице ВК. Отобраны 20 участников национального отборочного тура Армении "Depi Evratesil". Всего на участие в отборе поступило свыше 100 заявок. В новом сезоне проекта "К Евровидению" творческими силами померятся Роберт Колоян, Севак Ханагян, Сурен Погосян, Мгер Армения, Тём, Жанна Давтян, Айк Каспаров, Геворг Арутюнян, Мария Secret, Асмик Широян, Ангел, Амалия Маргарян, Тамар Каприелян, Лусине Марданян, Арман Месропян, Мариам, Камиль (Арсен Григорян), а также группы "Немра", "Alternative" и "Гата Бенд". Конкурсные песни участников будут представлены 15-го января на канале проекта в YouTube. Новый сезон проекта будет состоять из трех этапов: отборочного, полуфинала и финала, которые будут транслироваться в эфире Первого канала Армении с 3-го февраля 2018 года. Победителя определят телезрители и жюри в составе международных экспертов по принципу соотношения голосов 50/50. TVE и Gestmusic выберут только песни на испанском языке для Eurovision Gala Operación Triunfo, рассказал директор продюсерской компании Тинет Рубира. Поиск песен и отбор уже начат, и Рубира подчеркнул, что у них есть в наличии "хорошие варианты" и они "с надеждой на успех" смотрят на данный процесс. "То, что песня будет на испанском - это ничего не значит, также как и автоматическое исполнение на английском не давало бы преимущества. Но любая песня на английском, исполненная тем, кто не в совершенстве владеет языком, будет смотреться неудачно. Наша цель прежде всего это выбор лучшей песни и лучшего исполнителя", объяснил он. Рубира, однако, не исключил возможность исполнения песен на других официальных языках Испании. Немецкая газета BILD заявляет, что ей известны имена всех шести финалистов, которые сразятся за право представит Германию в Лиссабоне. Однако, комментарий координатора развлекательного вещания ARD Томаса Шрайбера говорит о том, что возможно одно или два имени в списке не соответствуют действительности. "Эта статья была опубликована без проверки информации у вещателя, потому в настоящее время NDR не будет комментировать эти слухи - по одной просто причине - из шести участников, которым было предложено выступить в финальной части конкурса, пока ответили (согласившись со всеми контрактными обязательствами) только четыре. Только когда у нас будут на руках подтверждения от всех финалистов, мы назовем их имена (надеюсь, что очень скоро). Мне хотелось бы сказать лишь одно - не все, что пишет BILD соответствует действительности"
Около 4000 исполнителей выставили свои кандидатуры или были выдвинуты на участие в немецком национальном отборе в этом году. Из них предварительно были отобраны 211, которые были представлены на рассмотрение Eurovision panel из 100 человек. 20 лучших были приглашены в тренировочный лагерь, 17 из них приняли приглашение и прошли его. 11 января в Белтелерадиокомпании пройдет открытое прослушивание претендентов Национального отборочного тура международного конкурса песни «Евровидение-2018». Официальный сайт www.tvr.by по традиции будет вести онлайн-трансляцию из студии медиахолдинга. Прослушивание пройдет в режиме живого звука в сопровождении музыки и (или) фонограммы, записанной без вокалов любого вида или каких-либо вокальных имитаций. В этом году к прослушиванию будут допущены все претенденты, чьи заявки оформлены в соответствии с требованиями, указанными в Положении. По состоянию на сегодня в Белтелерадиокомпанию поступило более 30 заявок. Срок приема заявок для участия в Национальном отборочном туре заканчивается сегодня. В соответствии с Положением, последний день отправки бандеролей – 26 декабря 2017 года. Стоит отметить, что традиционно претенденты на участие отправляют свои бандероли в последние дни приема заявок, и этот год не стал исключением. Поэтому Белтелерадиокомпания отводит люфт из нескольких дней, чтобы все отправленные в установленные сроки заявки успели поступить на адрес медиахолдинга и были рассмотрены организаторами отбора. А уже 11 января потенциальные участники песенного форума смогут представить свои композиции на суд профессионального жюри. Имена финалистов, которых, напомним, в соответствии с Положением, будет не более пятнадцати, станут известны в этот же день вечером. Французский отбор Destination Eurovision будет выходить в эфир France 2 по субботам, начиная с 13 января в 20:55 по местному времени (22:55 Москвы). Напомним, что только финальное шоу выйдет в прямом эфире, полуфиналы будут записаны 8-9 января. В Израиле, наконец-то, завершен первый этап национального отборочного шоу "HaKokhav HaBa L'Eurovizion". 66 участникам удалось пройти этот этап, но лишь 20 из них попадут в дальнейший отбор - большая часть конкурсантов будет отчислена всего за одно шоу, которое выйдет в эфир в ближайший четверг. Все выступления вы можете увидеть здесь. Eugent Bushpepa побеждает с песней "Mall". Подробнее на странице Албании. Одиннадцать кандидатов сразятся в семи шоу, которые будут транслироваться по интернету и спутниковому телевидению с января по февраль 2018 года. Части шоу будут сняты в формате 360 градусов и виртуальной реальности. Ведущими шоу станут Ник Ирлс и Кристин Стейн. В финале сразятся три исполнителя, которые исполнят кавер и оригинальную песню. Песни трех кандидатов будут выбраны организаторами проекта после консультации с исполнителями. Телеголосование определит победителя финального шоу, которое выйдет в эфир в феврале 2017. Победитель будет признан интернет кандидатом и официальным представителем Сан-Марино на Евровидении 2018, получив право выступить перед 200 миллионами зрителей, а также получит контракт на запись альбома. Представлены все 60 песен, принимающих участие в румынском национальном отборе. Прослушать их можно здесь. В новом видеоблоге NDR, LissaBjörn рассказывает о процессе оценивания кандидатов немецкого отбора международным жюри и Eurovision Panel, а также общается с конкурсантами. Тем временем, Prinz Blog пообщался с координатором развлекательного вещания NDR Томасом Шрайбером о предстоящих стадиях национального отбора. "Стимулирующий, утомительный, приятный, расширяющий горизонт процесс. Мы с нетерпением ждем его продолжения. Было очень полезным провести род-шоу (презентации проекта в различных городах), наша команда из digame mobile, Simon-Kucher & Partners, наши коллеги из Kimmig Entertainment и Lodge of Levity с коллегами из Studio Berlin, педагоги, такие как Wolfgang Dalheimer, Jeff Cascaro и Nici Grandison, команда NDR и Christoph Pellander - новый глава делегации, вся эта смесь сработала прекрасно, несмотря на очень плотный график"
Авторы интервью полагают, что в предварительной стадии тренировочного лагеря приняли участие 17 участников. Шрайбер говорит, что их имена будут названы между Рождеством и Новым Годом. В итоге, около шести финалистов выйдут в телевизионную стадию процесса. Помимо того, в Берлине будут организованы несколько авторских лагерей по написанию песен - в них примут участие около 15 немецких и иностранных авторов. В процессе совмещения песен и исполнителей важную роль будет играть Группа Издателей, во главе с Ларсом Ингверсеном. Окончательный выбор будет сделан по соглашению между артистом, менеджментом, лейблом и вещателем. "Все возможно: может быть к конкурсанту будет добавлен featuring артисты, может быть кто-то принесет свою прекрасную песню", рассказывает координатор отбора. Во время финального шоу жюри и Eurovision Panel будут следить за шоу на телеэкране в иной студии. Поэтому, в обеих студиях будут работать два разных телеведущих, еще один ведущий будет общаться с конкурсантами в гринруме. Один из ведущих вызовет у зрителей сильные воспоминания, связанные с Евровидением, отмечает Шрайбер. 14 исполнителей вышли в финал - познакомьтесь со списком на странице Албании. Жюри национального отбора Румынии, прослушав 72 поданные заявки, определило имена 60 полуфиналистов. С полным списком вы можете познакомиться на странице Румынии. Telewizja Polska SA объявила о начале приема заявок на участие в национальном отборе на конкурс Евровидение 2018. Крайний срок приема заявок был установлен на 1 февраля 2018 года. Из песен, отобранных в финальное шоу, телезрители и профессиональное жюри выберут лучшую, которая и представит Польшу на Евровидении 2018. Поданные заявки должны содержать в себе оригинальную музыку и текст (на польском или английском языках), и не быть обработками фольклорных мелодий, а также т.н "каверами" и "лупами". Они не должны были публично исполняться в любой форме до 1 сентября 2017 года. Заявки подаются в электронном виде на eurowizja@tvp.pl или по почте "TVP SA ul. JP Woronicza 17 00 – 999 Warszawa" с пометкой "Eurowizija 2018. Заявка должна содержать промо-фото артиста, заполненные и подписанные формы приложений с заявлением об авторских правах. Выбор исполнителей и песен для национального финала будет осуществляться, комиссией из 3-9 человек, назначенной TVP. От 5 до 10 песен будут выбраны для участие в финале отбора. Они будут объявлены не позднее 6 февраля. В случае отказа от участия или дисквалификации конкурсной песни, исполнитель данной песни должен будет компенсировать затраты организатора на ее промоушен и иные расходы. Финал национального отбора пройдет в Варшаве. В случае равенства баллов, преимущество получит победитель голосования жюри. Негосударственный вещатель из Казахстана 31 канал выпустил заявление о том, что он достиг договоренности о дебюте во взрослом Евровидении 2019 года. "Сегодня к нам пришел ответ из Португалии, согласно которому мы в мае 2018 года на Евровидение повезем уже взрослых исполнителей для того, чтобы принять участие сначала в отборочном туре, а уже в 2019-м - в большом Евровидении. Будет также проводиться кастинг для отбора". "Евровидение - это конкурс, который является проектом European broadcasting union. И для того, чтобы принять участие в Евровидении - и в детском и во взрослом - членом EBU должен стать телеканал. Поэтому, 31 канал проявил инициативу, так мы стали членами EBU и направляем туда исполнителя от имени Казахстана. В случае, если казахстанский исполнитель победит, следующее Евровидение пройдет в Казахстане"
Коджахметов также пригласил победительницу Украинского "Голоса.Дети" Данэлию Тулешову принять участие в кастинге на детское Евровидение. "31 канал в этом году инициировал участие в Eurovision Junior - в рамках взрослого Eurovision проходит аналогичный конкурс среди детей. В ноябре текущего года мы свозили 7 казахстанских детей в Грузию, среди которых были братья Жугунусовы и Данэлия. Они выступили в рамках евроклуба - здесь рабочий комитет Eurovision Junior просматривал претендентов на участие. Мы будем проводить национальный кастинг и в первом полугодии уже будет понятно, кто поедет в Минск от нашей страны". В Министерстве культуры и спорта РК в ответе на официальный запрос Tengrinews сообщили, что 31 канал подал заявку на вступление в Европейский вещательный союз. Обновление: ЕВС опровергает получение 31 канала членского статуса - канал высказал желание получить ассоциативный статус, что поставит его в ту же позицию, как и национального вещателя Хабар. Таким образом, оба казахстанских канала в Евровидении смогут участвовать только по специальному приглашению, как Австралия. В Беларуси продолжается подготовка к национальному отбору на "Евровидение – 2018". Как будет проходить конкурс – в интервью Радиус FM рассказывает руководитель проекта "Евровидение" в Беларуси" Ольга Шлягер. Программу подготовила и провела Елена Орлова. На сегодняшний день поступило 12 заявок, но традиционно большая их часть поступает в последние дни приема. Предварительно, прослушивания запланированы на один день - 11 января. Финал национального отбора пройдет в феврале, и его снова проведут Тео и Ольга Рыжикова. Интересно, что Ольга Шлягер рассказала о том, что на конкурс в этом году будут допускаться народные песни, при условии, что народная музыка пройдет определенную аранжировку, и их слова также будут переделаны. Болгарское национальное телевидение продлило крайний срок приема полных творческих концепций на отбор к Евровидению 2018 до 29 декабря 2017 года (первоначальный срок - 20 декабря). Напомним, что предложения должны включать в себя конкурсную песню, исполнителя, предлагаемый сценический номер, и указание размера бюджета подготовки, который продюсерская команда будет готова взять на себя. После этого, до 31 января, поданные заявки будут рассмотрены специальным комитетом, в который войдут как представители BNT, так и зарубежные эксперты с опытом в музыкальной индустрии и Евровидении. На данный момент поступили 11 проектов от 8 продюсеров. Три из них должны предоставить дополнительную информацию. 4 проекта созданы совместным болгарско-зарубежными командами, в 2 проектах исполнители - иностранные артисты. Всего было рассмотрено 147 предложенных песен, все из них на английском языке. Выбранный представитель Болгарии и его песня будут представлены 12 марта. Музыкальный продюсер национального отбора Украины Руслан Квинта опубликовал фотографию с подписью "#eurovision 2018 - кастинг закрыт , всем спасибо , и до скорой встречи !!!" Как видно на фотографии, как и в прошлые годы в состав жюри, выбиравшего конкурсантов вошли композитор и продюсер Андрей Француз и руководитель проекта Евровидение на СТБ Наталья Франчук. Напомним, что о своем желании принять участие в отборе ранее заявили такие исполнители как Alekseev, Melovin, Tayanna, Казка, и неизменный Alex Angel. Стоит отметить, что прием заявок продлится до 15 января, таким образом это не было финальным кастингом проекта. Объявлен обладатель третьего вайлдкарда Сан-Маринского отбора на Евровидение 2018. Им стал артист из Сан-Марино Ирол. Немецкий вещатель выпустил видеоблоги, рассказывающие о процессе отбора с субтитрами на английском языке. Видеоблоггер NDR LissaBjörn проследил за работой Eurovision panel и побывал в тренировочном лагере конкурсантов. Обновление: Финал немецкого национального отбора Unser Lied für Lissabon пройдет в Берлине, 22 февраля 2018 года в 22:15 Москвы. Телеканал RTVE утвердил проведение дополнительного гала-концерта шоу Operación Triunfo, который станет отборочным на Евровидение. Артистам не будет достаточно просто одержать победу на шоу, чтобы представить свою страну на Евровидении. Специальная программа, проведение которой было единогласно утверждено во вторник советом директоров вещателя, определит, кто из аспирантов академии будет выбран представлять Испанию в Лиссабоне. Как это и происходило в первых трех сезонах шоу, которые выходили в эфир на TVE, будет проведен специальный гала-концерт, нацеленный на определение представителя на конкурсе. В самой первой ОТ1 Розе Лопез удалось сделать дубль - она победила и в самом шоу, и в Eurovision Gala, и отправилась в Таллинн. Но во втором и третьем сезонах победители разнились. Айноа победила в OT2, но на Евровидение отправилась занявшая третье место Бет. Висенте стал победителем третьего сезона, но в Стамбул поехал ставший вторым Рамон. Обновление: Eurovision Gala выйдет в эфир до финала шоу, в нем примут участие пять финалистов, которые поборятся за билет в Лиссабон. Они исполнят оригинальные песни, написанные известными авторами, которые, как обычно, будут розданы им профессорами Академии. Победитель будет определен телеголосованием. 72 заявки поступило на участие в отборочном туре Румынии на Евровидение 2018. Feli, Jukebox, Eduard Santha и Xandra, иностранные авторы из Швеции, Бельгии, Италии, Испании и Молдовы будут бороться за право представить Румынию. В отборе также примут участие бывшие конкурсанты Евровидения - MIHAI, представлявший страну в 2006 году и Алекс Флоря, выступавший вместе с Илинкой на Евровидении 2017. Процедура проверки поступивших заявок проводилась в штаб-квартире TVR в присутствии нотариуса. В ближайшие три дня, артисты исполнят свои песни в студии TVR, и профессиональное жюри определит список из 60 полуфиналистов конкурса, который будет публично оглашен 22 декабря. Шоу литовского национального отбора начнут выходить в эфир Литовского телевидения 6 января. Организаторы отбора объявили некоторые имена участников конкурса. Согласно пресс-релизу LRT в отборе примут участие свыше 50 исполнителей и групп, но поименно были названы лишь 17 участников. Артисты могли как заявиться с собственной, или специально для них написанной песней, либо выбрать композицию из числа предложенных другими авторами. На отбор возвращается Эрика Дженнингс, ранее представлявшая страну на конкурсе в составе группы Skamp. Она исполнит композицию Truth. Из числа исполнительниц можно отметить такие имена, как Silvija Pankūnaitė, Mia, Kotryna Juodzevičiūtė, Rasa Kaušiūtė, Eglė Jakštytė, Donata Virbilaitė, Ieva Zasimauskaitė и Greta Zazza. Мужская половина представлена также известными исполнителями: Vidas Bareikis, Gabrielius Vagelis, Jurgis Brūzga, Robertas Kupstas. В конкурсе также выступят группы "El Fuego", "The Roop", "EGO", "Saulės kliošas". Победитель отбора станет известен в марте. Стало известно распределение на полуфиналы участников албанского отбора Festivali i Këngës. В финальный вечер выступят 16 из 22 конкурсантов. Более 30 заявок поступило на участие в черногорском национальном отборе Montevizija, крайний срок на подачу заявок в который прошел 15 декабря. Montevizija скорее всего будет проведена 17 февраля следующего года в отеле Хилтон в Подгорице, рассказывает музыкальный редактор Радио Черногории и член творческого совета РТЦГ Владимир Мараш в интервью CDM. Победитель будет выбран телезрителями из пяти участников национального финала. Мараш подчеркивает, что несмотря на "соседское голосование" качество всегда признается, хотя важную роль в определении победителей играет и лоббистская деятельность. "Мы можем только адаптироваться к обстоятельствам, и постараться сделать так, чтобы наш представитель вышел в финал шоу, что, как мне кажется, было бы экстраординарным успехом для Черногории". Владимир Мараш говорит, что победа на Евровидении может, но не всегда определяет дальнейшую карьеру музыкантов. "Сегодня важно быть в тренде, что бы это ни значило, более, чем просто иметь хорошую песню или хорошего артиста. В последние годы мы попробовали множество путей, были и положительные и отрицательные результаты. Потому, сейчас наша обязанность просто послать лучшую из полученных работ на конкурс, остальное в руках шоу-бизнеса, зрительского интереса и лоббирования. Потому, нам понадобится немного удачи", говорит Мараш. Внимание, сегодня со ссылкой на официальный сайт конкурса распространилась неверная информация о времени начала продажи билетов, вторая волна которой пройдет 20 декабря. Как мы неоднократно сообщали ранее, вторая фаза продажи билетов пройдет 20 декабря 2017 года в 13:00 Москвы (11:00 CET, 10:00 Лиссабона). В ее рамках в продажу поступят билеты на финал и обе генеральные репетиции к нему (т.н. Family и Jury шоу), включая все ценовые категории. В одни руки можно приобрести до 4х билетов. К каждой покупке применяется также сервисный сбор в размере 6%. Возможно также заказать специальный Коллекционный билет, выпущенный в ограниченном количестве, который можно будет получить внутри зала в день конкурса за дополнительные 5 евро. На BlueTicket действует система очереди Queue-It, используемая для продаж билетов на многие крупнейшие мероприятия в мире. Она предотвращает сайт от падения в моменты, когда происходит максимальный наплыв народу. Продажи стартуют в 13:00 Москвы, а с 9:00 Москвы начинает работать система защиты. Те, кто откроет сайт и встанет в очередь до момента открытия продаж получат в этот момент случайный номер в очереди. Это означает, что раннее занятие очереди не дает никаких преимуществ. Те же пользователи, что присоединятся к очереди уже после открытия продаж, получат последующие номера и будут за теми, кто присоединился заранее. Эта система защищает сайт и пользователей, обеспечивая адекватные уровни безопасности и уменьшая риск приобретения билетов автоматизированными системами и роботами. 19 и 20 декабря пройдет премьера песен, принимающих участие в эстонском национальном отборе Eesti Laul. Марафон, который проведут Май Паллинг и Пирет Ярвис будет начинаться в 11 утра по московскому времени и завершится в 8 вечера. В его рамках не только можно будет услышать впервые конкурсные песни, но и узнать больше об участниках, которые дадут интервью в прямом эфире. Подготовка к албанскому Festivali i Këngës 56 продолжается во Дворце Конгрессов Тираны. Проходит возведение сцены, представляющей собой магический лук в золотых и серебряных цветах, созданной сценографом Албаном Чифлигу. Идет также работа над светом, звуком, и общей концепцией шоу, которую курирует Пали Кукес. JavaNews раскрыли некоторые детали сцены, которая станет самой большой, когда либо созданной во Дворце Конгрессов. Тем временем, названа еще одна гостья шоу фестиваля - Аделина Исмайли. В заявлении Eurovision Spain телевидение Андорры сообщило, что рассмотрит возвращение на конкурс только в случае, если правительство этой страны занесет участие в конкурсе в национальные приоритеты и выделит не менее 300 тысяч евро. При этом, сотрудничество с телевидением Каталонии, вместе с которым RTVA выбирала представителя в 2004 году более не рассматривается, хотя опыт в свое время и был сочтен успешным. Напомним, что Андорра покинула конкурс Евровидение в 2010 году, когда накопленный вещателем долг привел к реструктуризации системы теле и радиовещания страны, отказу от закупки программ стороннего производства и сокращению свыше 15 процентов сотрудников. В годы участия в конкурсе средние затраты вещателя составляли около 300 тысяч евро, но успешного результата на конкурсе добиться так и не удалось. RTVA тепло вспоминает проект 12 punts - национальный отбор на Евровидение 2004, проведенный вместе с каталонским TV 3: "У нас остались только теплые воспоминания об опыте, принесенном этим проектом, который помог нам подготовиться к будущим конкурсам". Однако, оба телеканала не намерены возобновлять подобный проект. Общественный вещатель Каталонии, в свою очередь, заявляет о желании вступления в ЕВС - поскольку правила разрешают участие в союзе региональным вещателям (как например в Великобритании, или двум вещателям Бельгии). В уставе ЕВС нет каких-либо запретов, которые могли бы помешать TV3 получить статус члена союза. 26 и 27 декабря португальское телевидение покажет двухсерийный документальный фильм, посвященный победе Салвадора Собрала на конкурсе Евровидение 2018. "Sem Fazer Planos Do Que Virá Depois" (Без планов на будущее) - документальный фильм Нуно Галопима и Мигеля Пименты, который будет показан на RTP 26 и 27 декабря в 21:00 местного времени. В нем будет показана вся дорога Салвадора от победы в национальном отборе до триумфа в Киеве. В первой серии будет показано как изменения в правила национального отборочного фестиваля привели к участию в нем крупнейших имен в португальской современной музыке. Вторая серия будет посвящена поездке в Киев, где песня Amar pelos dois смогла очаровать всех присутствующих: от красной дорожки, где Собрал впервые появился на публике до финальных репетиций, поездок по городу, а также эмоций, которые по словам автора фильма Нуно Галопима, журналиста, музыкального критика и консультанта RTP сопровождали "уникальный момент в истории португальской музыки". В него войдут закулисные съемки, ранее не показанные музыкальные моменты, с участием Салвадора, его сестры Луизы, а также комментарии других португальских артистов, таких как Simone de Oliveira, Lena d'Água, Celina da Piedade, Noiserv, Tozé Brito, Júlio Isidro, José Carlos Malato, Filomena Cautela, а также членов делегации Португалии. "Эта песня раскрыла наши сердца и завоевала мир, и именно этой историей мы хотим поделиться со всеми", говорит Галопим. Объявлены участники категории Campioni фестиваля Сан-Ремо. Именно из их числа и будет выбран представитель Италии на конкурсе Евровидение 2018.